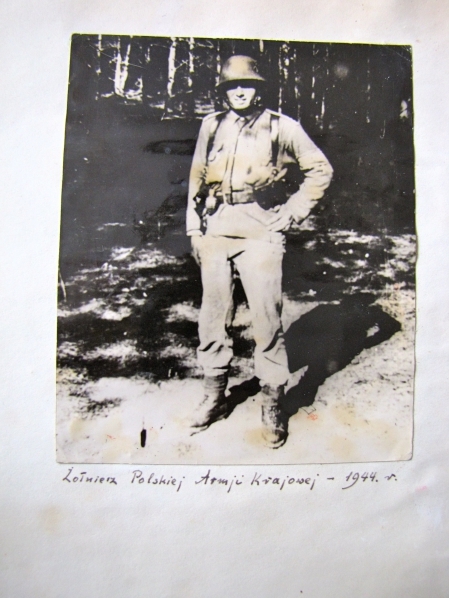 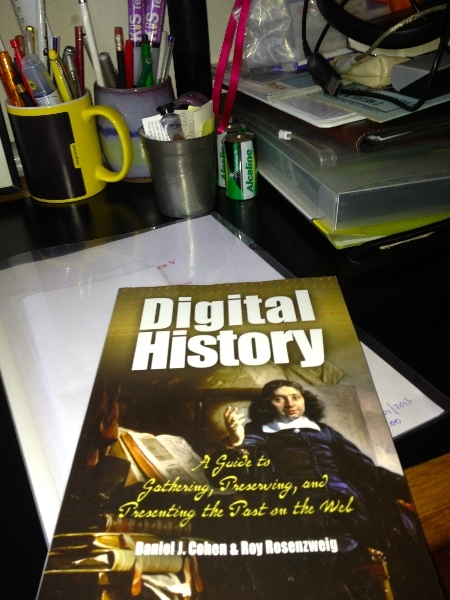 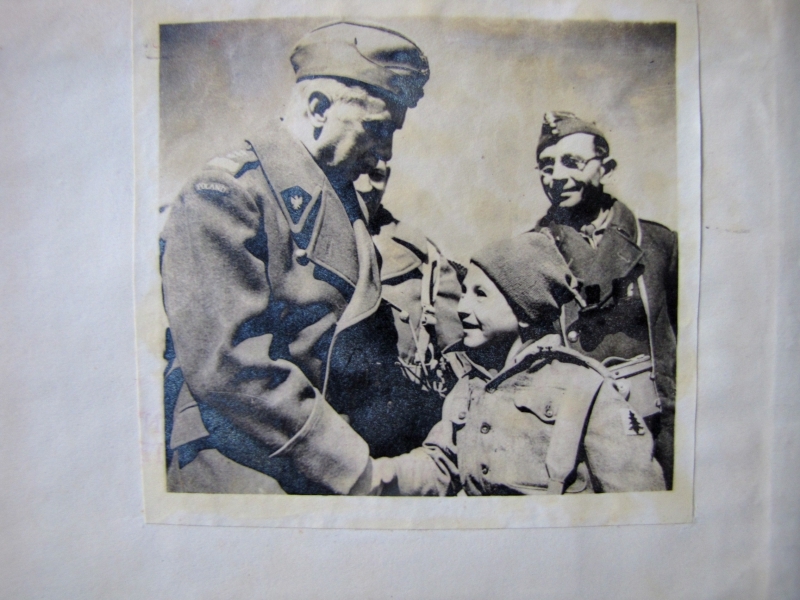 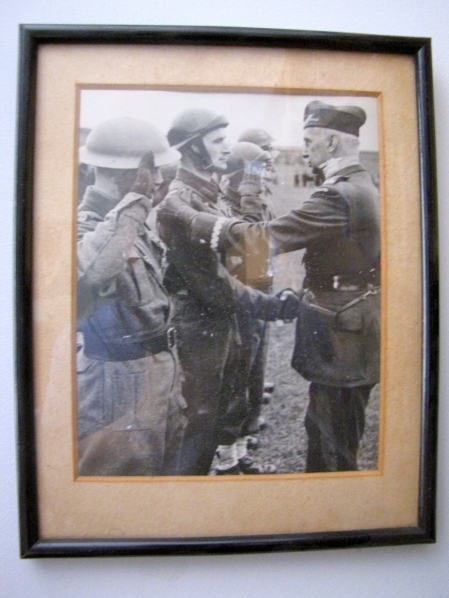 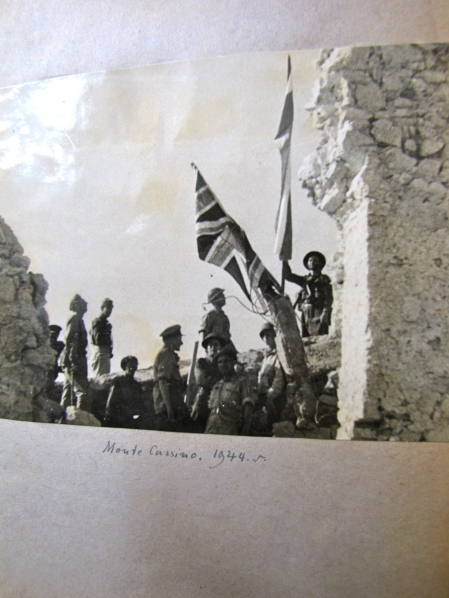 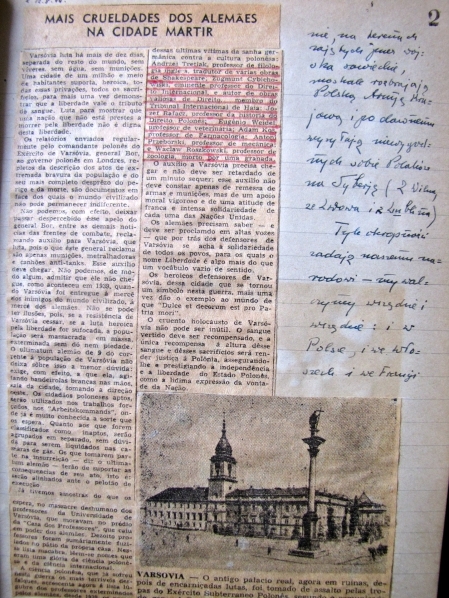 The sources for the project come from the papers/photographs my mother kept besides others I have recovered in Poland in April 2013. 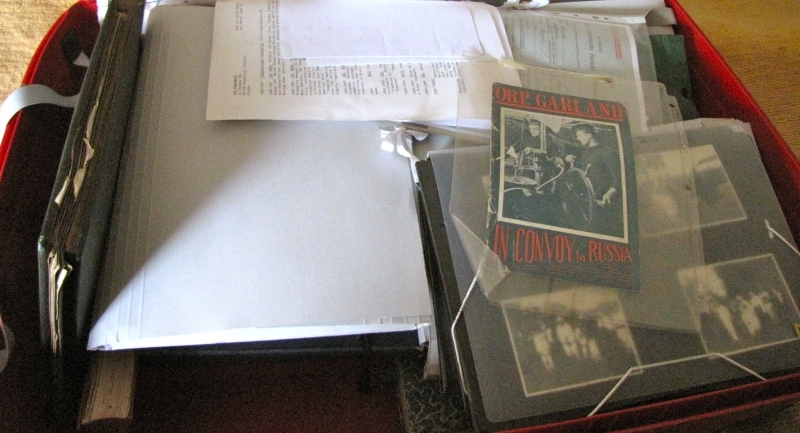 I have been separating the photographs according to place/time/people/relevance, scanning, translating and filing them according to themes. 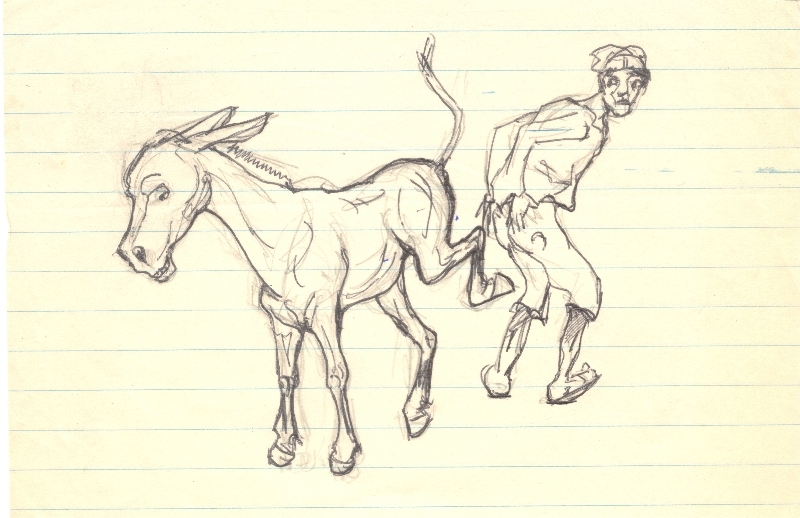 They will later illustrate stories and pages. 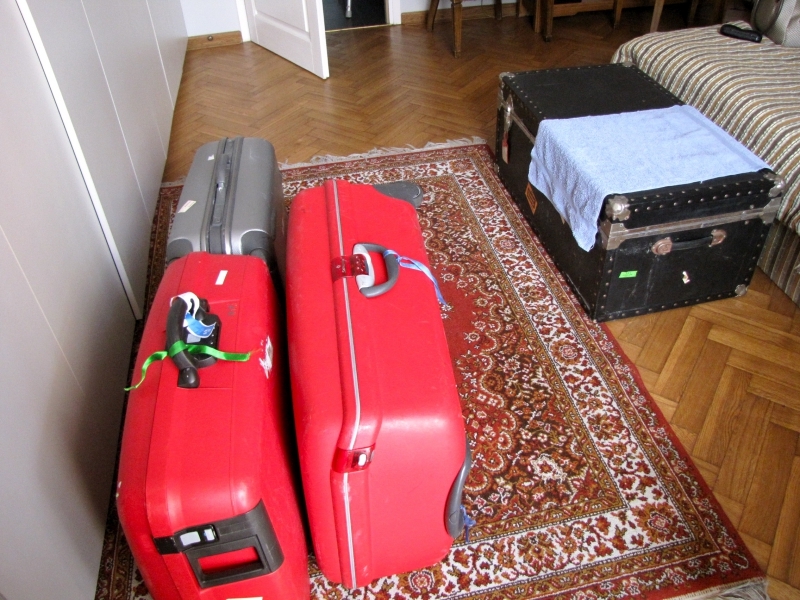 In the meantime, they have been grouped here. 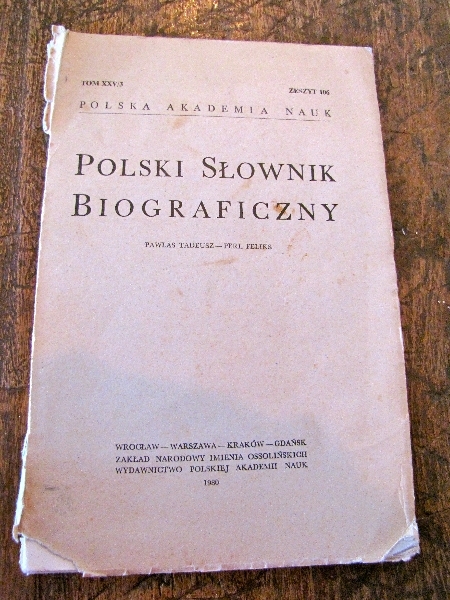 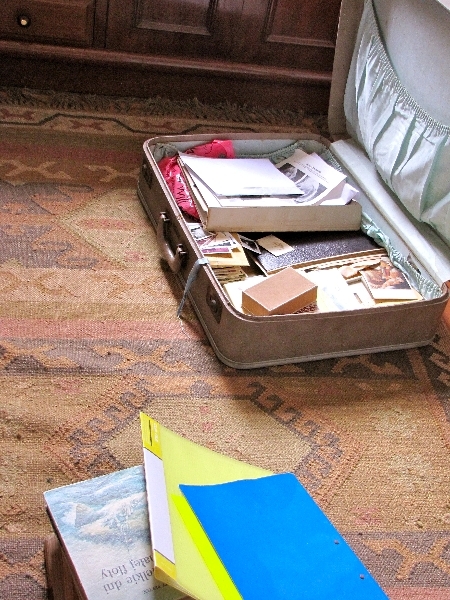 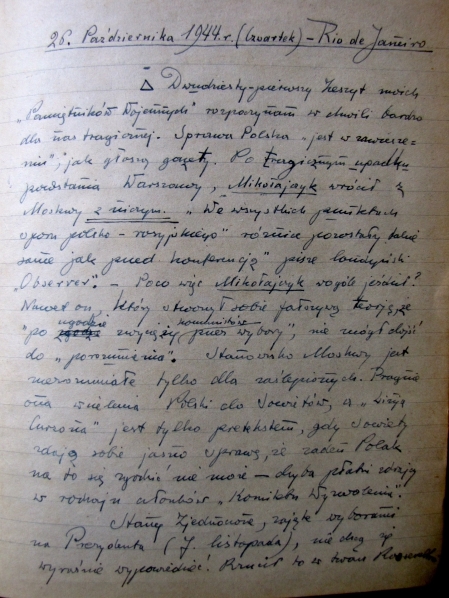 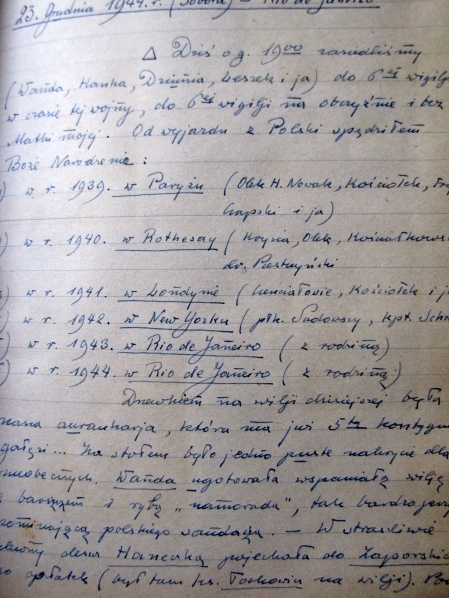 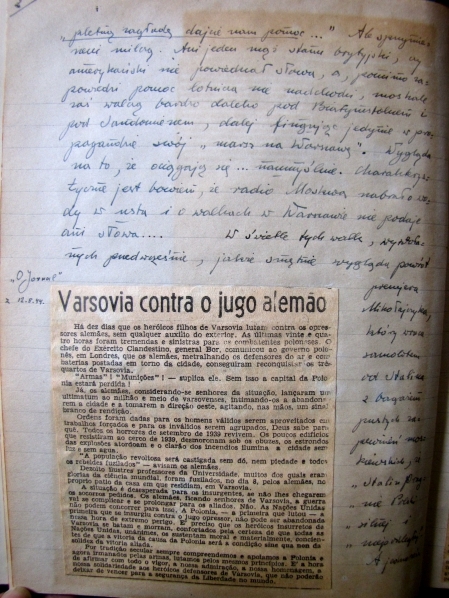 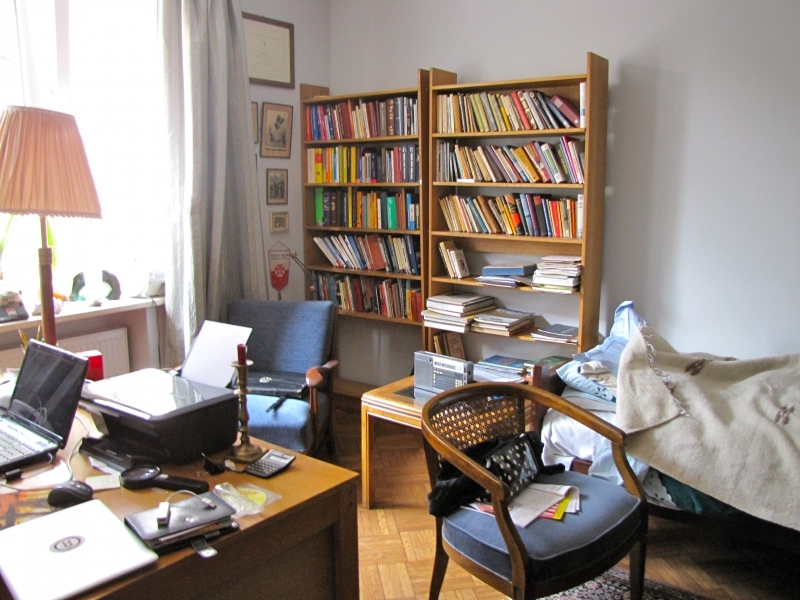 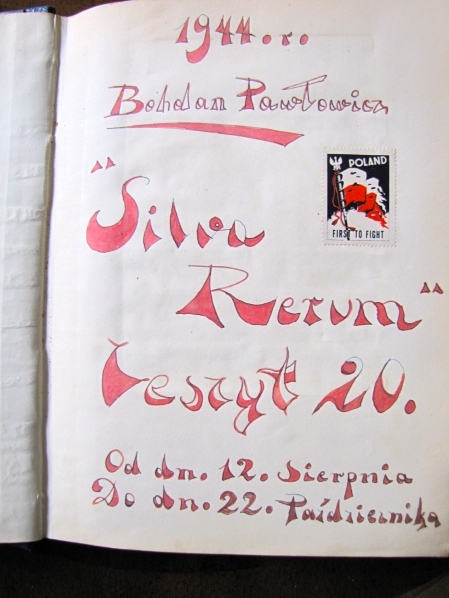 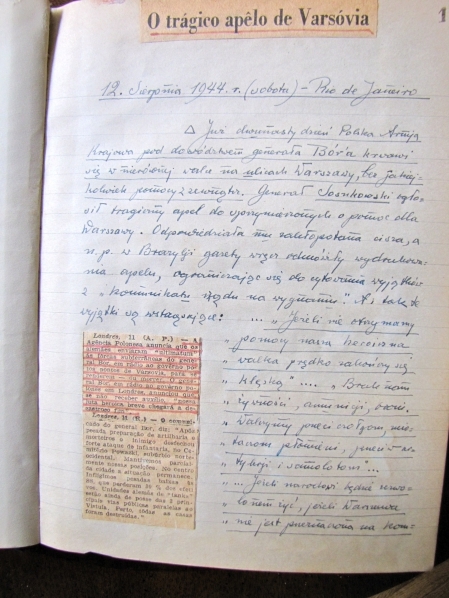 Pawłowicz kept a record of his life in notebooks and diaries, which he called Silva Rerum or Pele Mele. 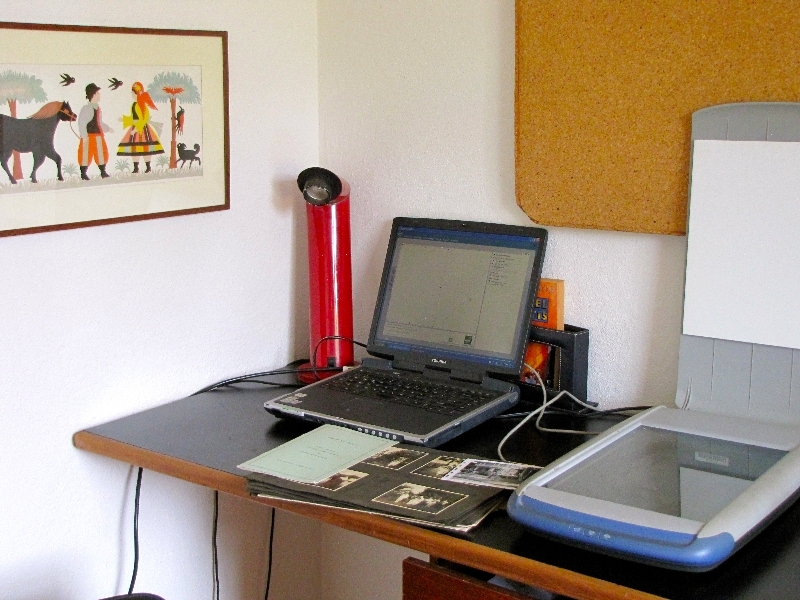 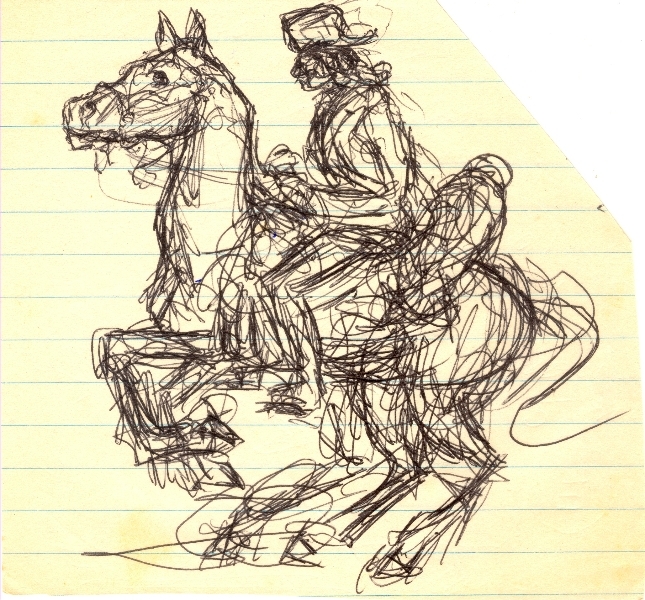 Bohdan Pawlowicz used to draw sketches on lined paper while he was working or writing. 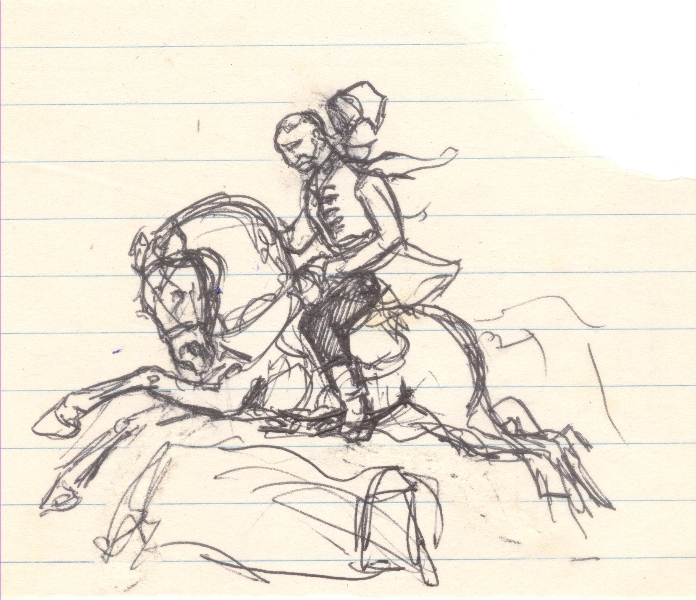 The subject matter was mostly horses and army characters. 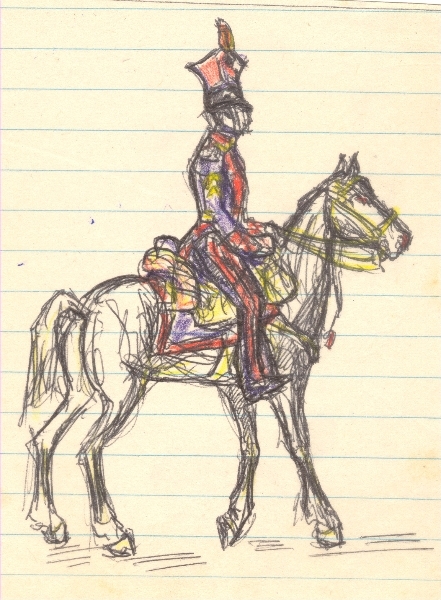 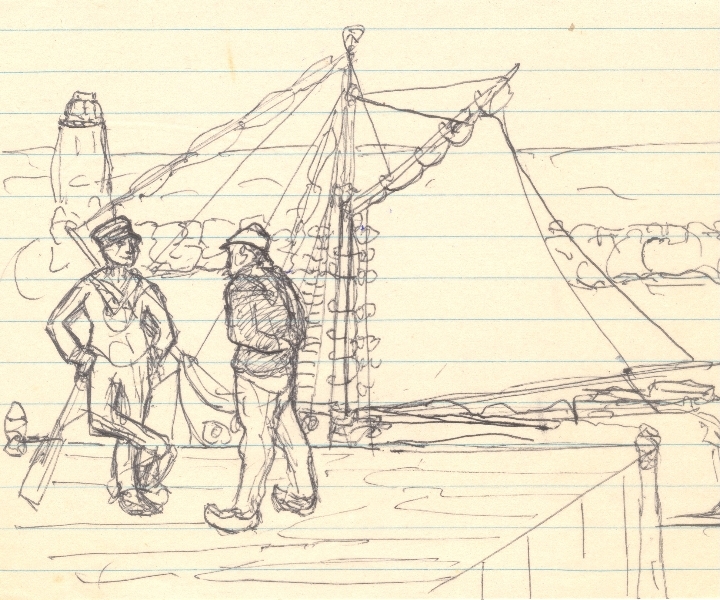 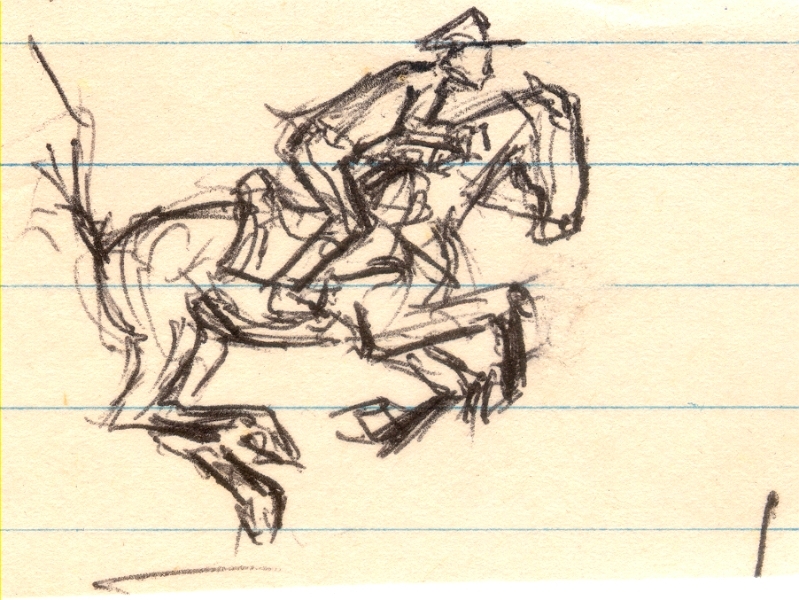 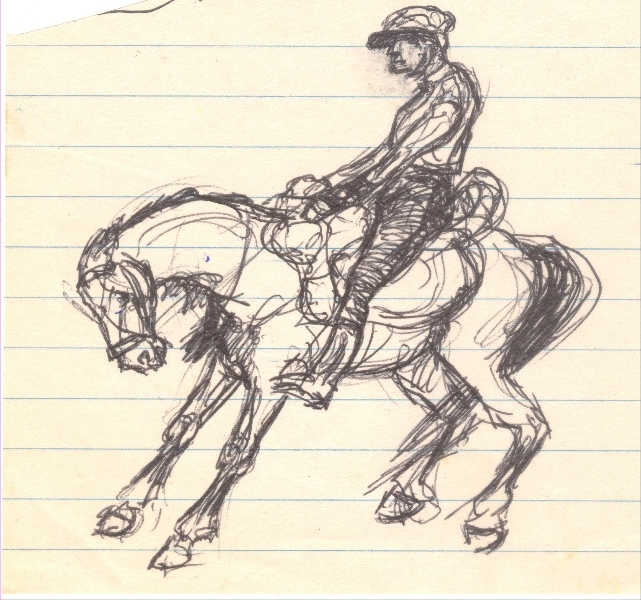 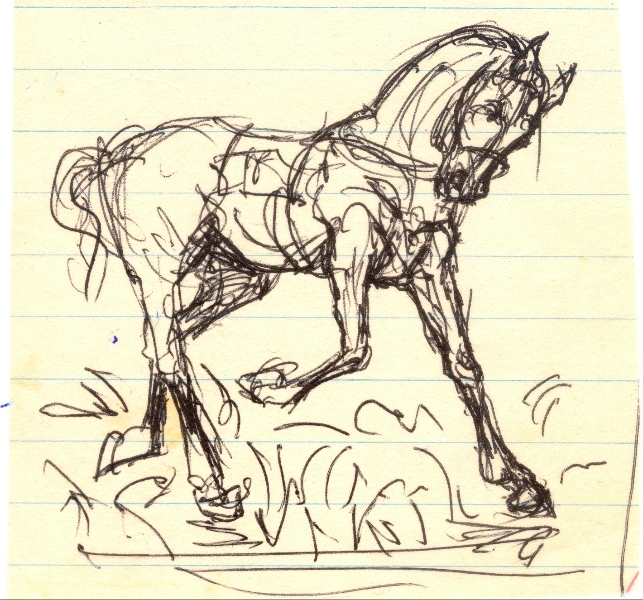 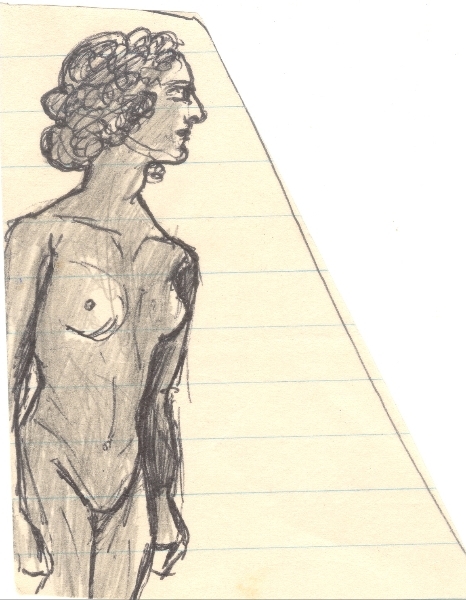 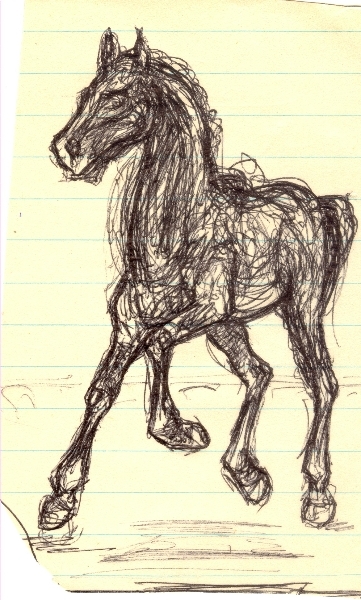 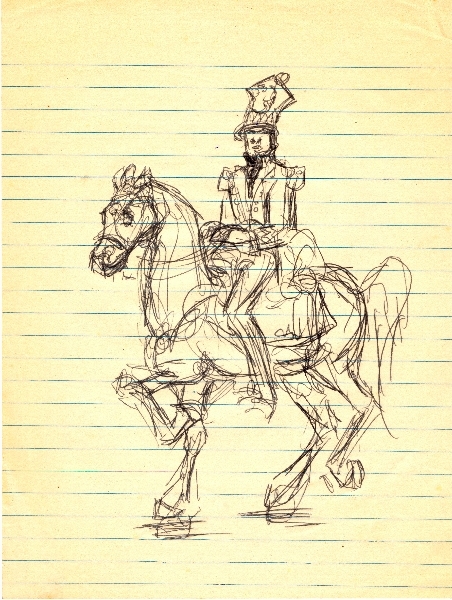 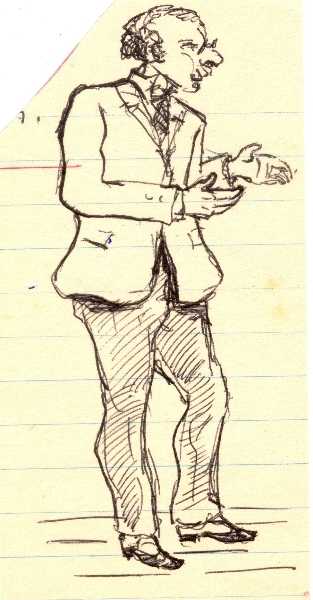 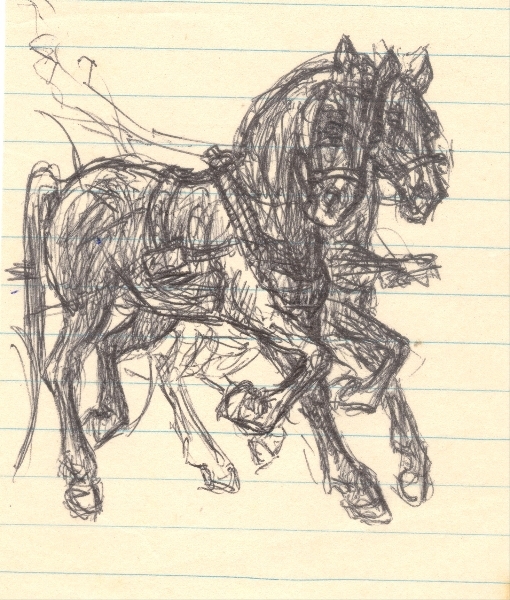 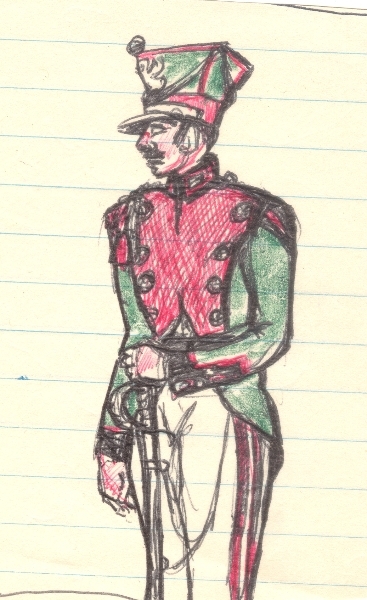 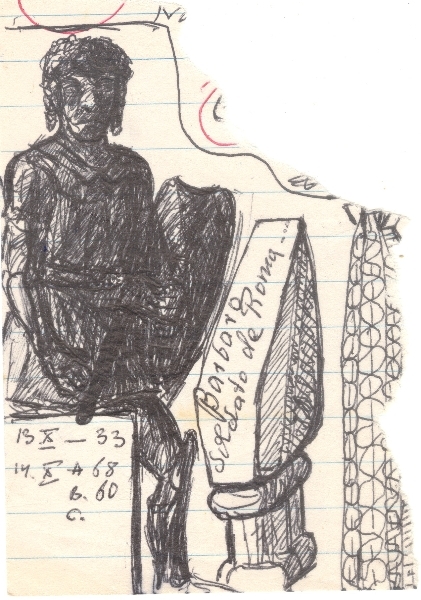 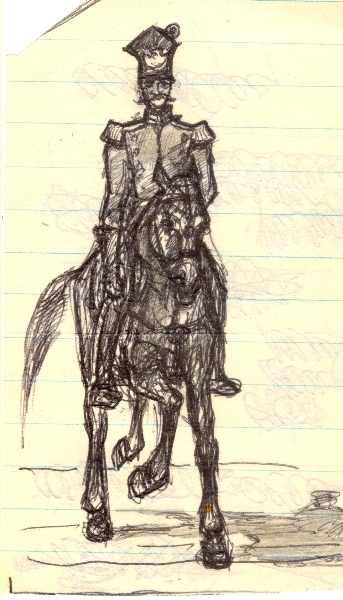 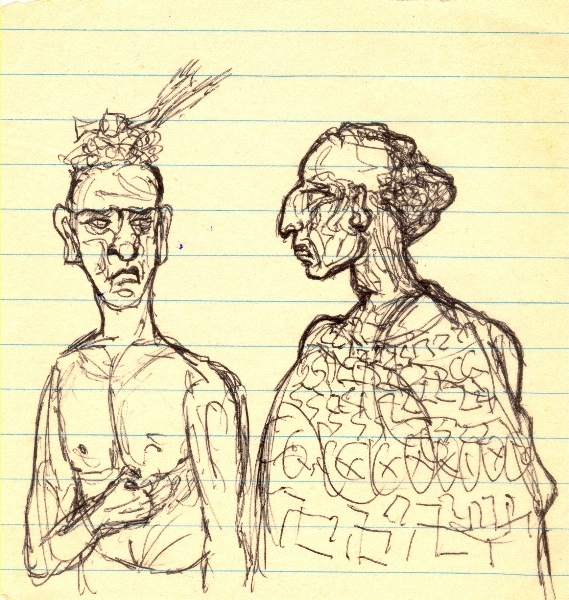 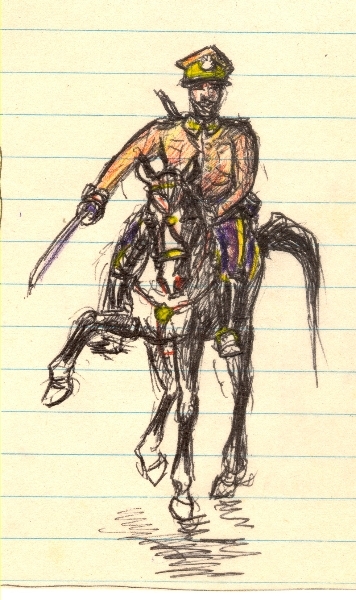 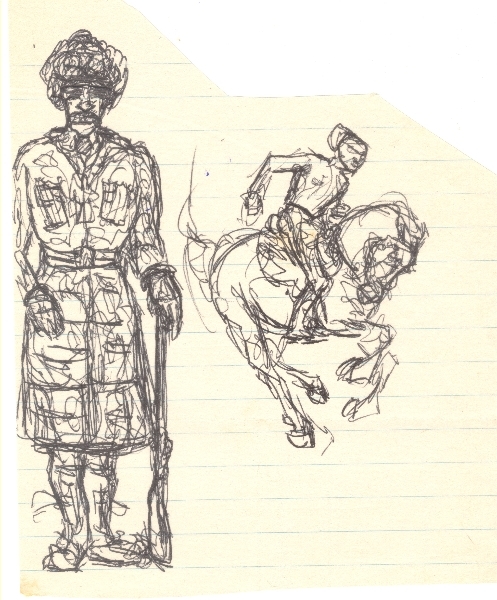 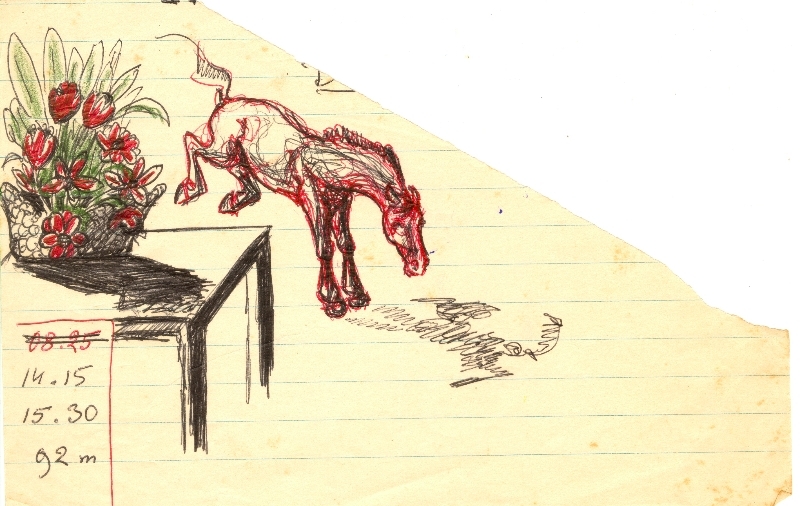 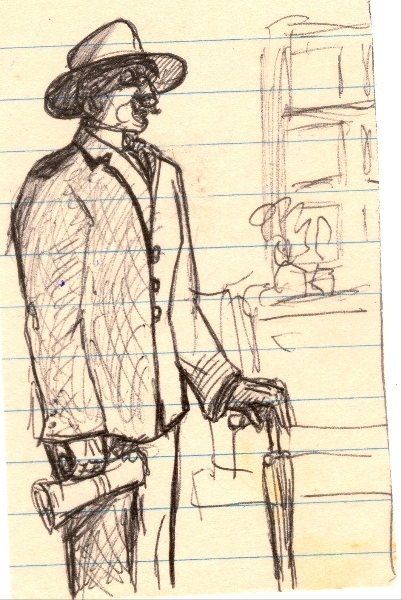 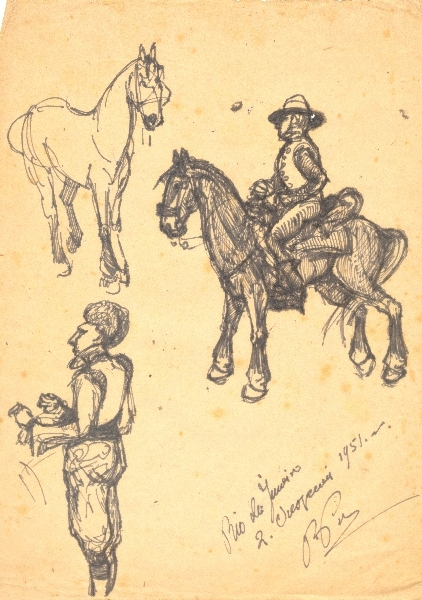 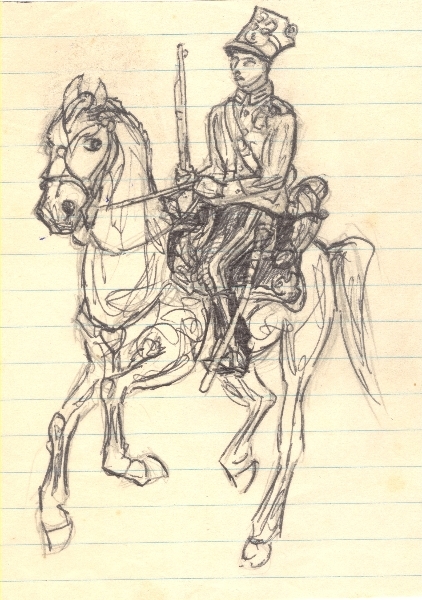 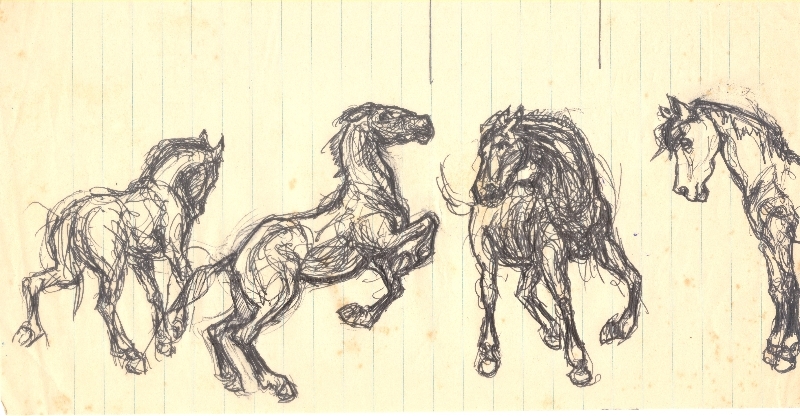 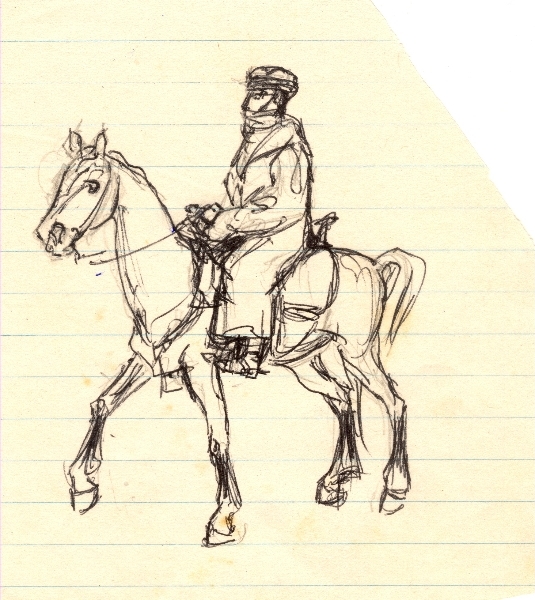 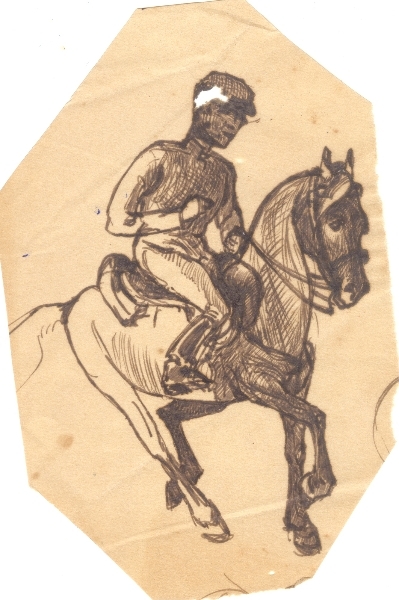 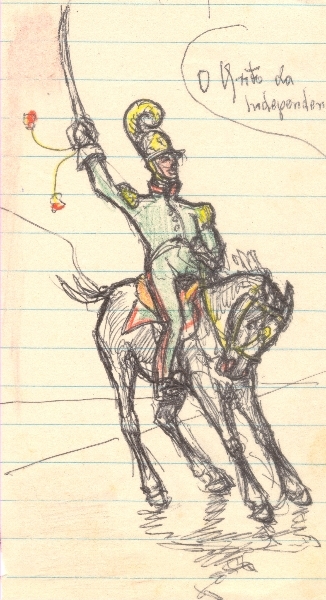 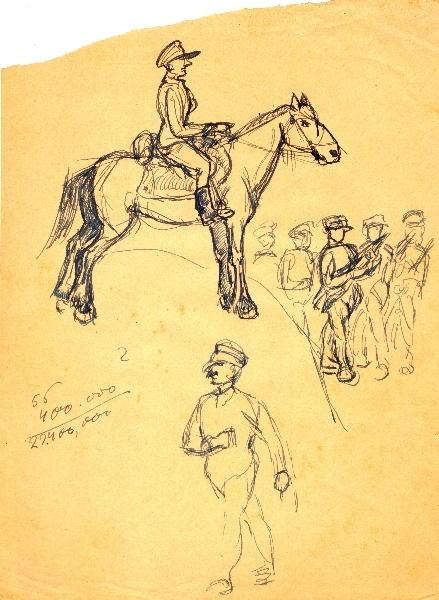 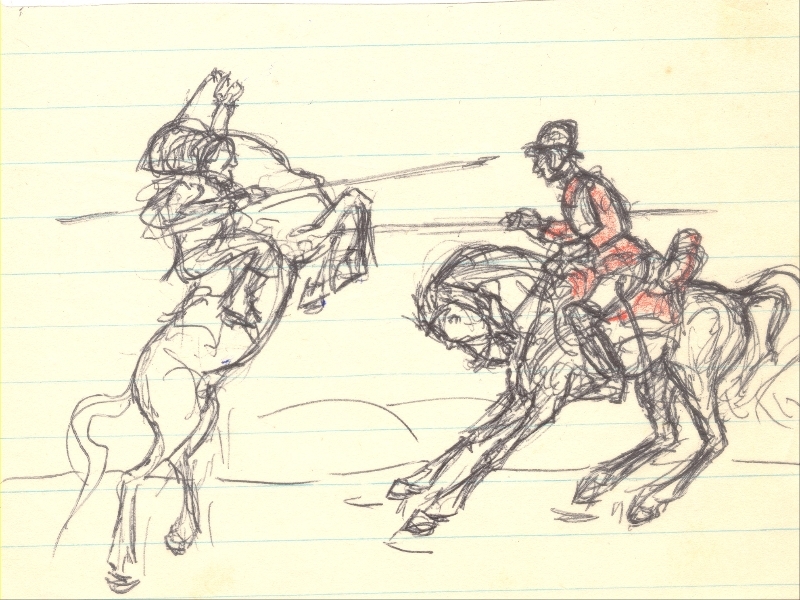 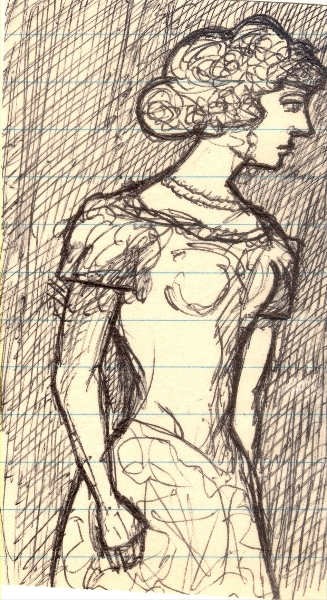 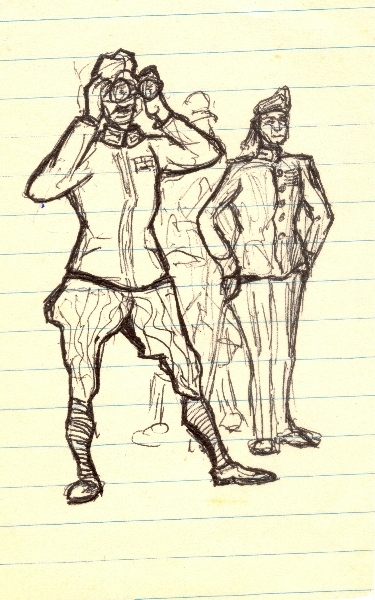 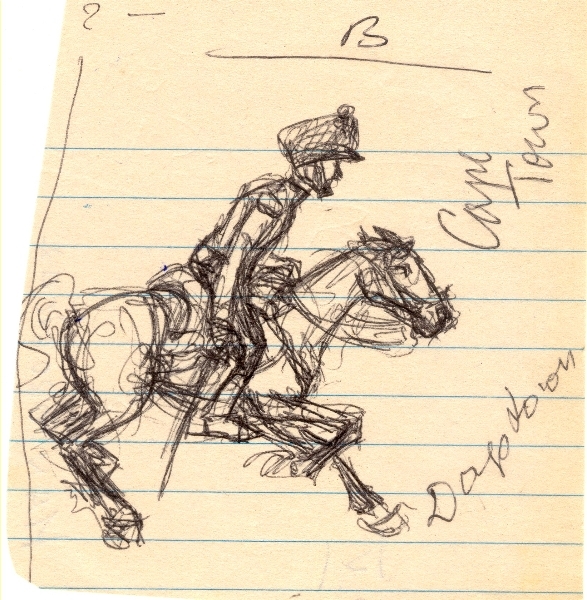 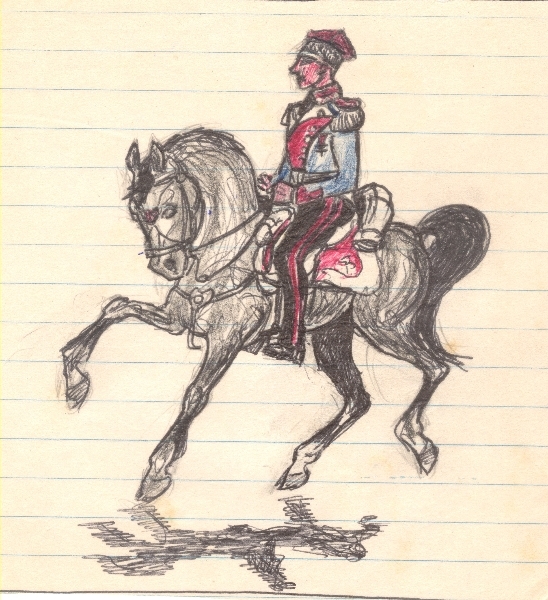 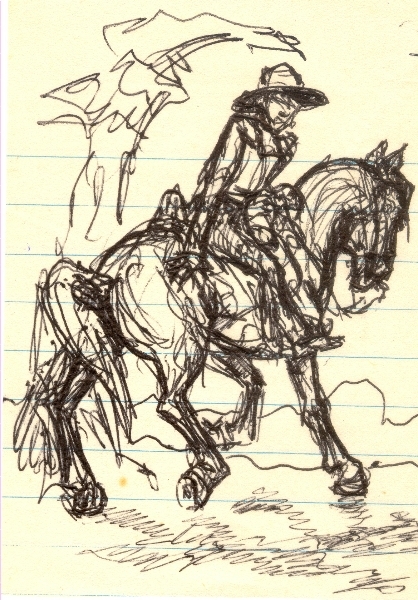 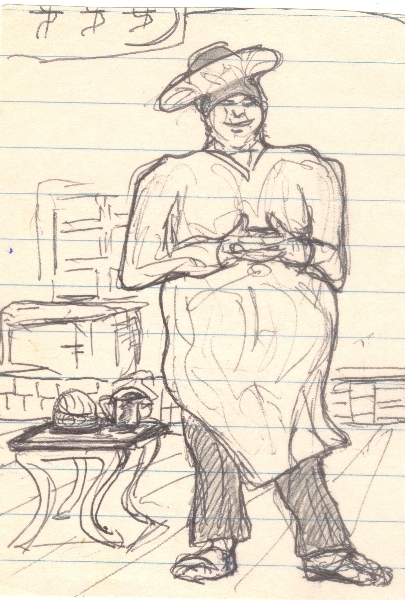 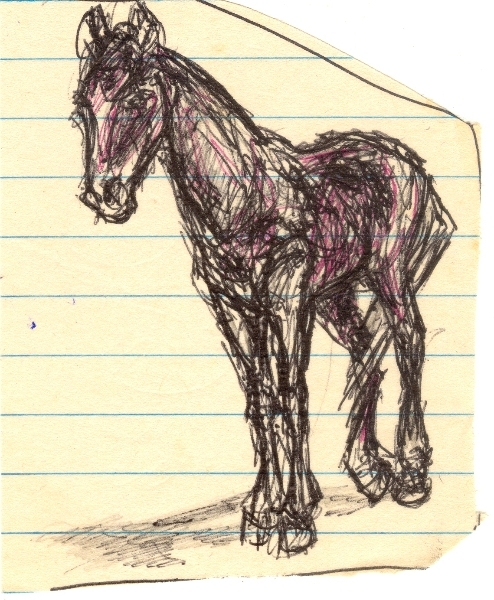 Bohdan used to draw these sketches on lined paper while he was working or writing. 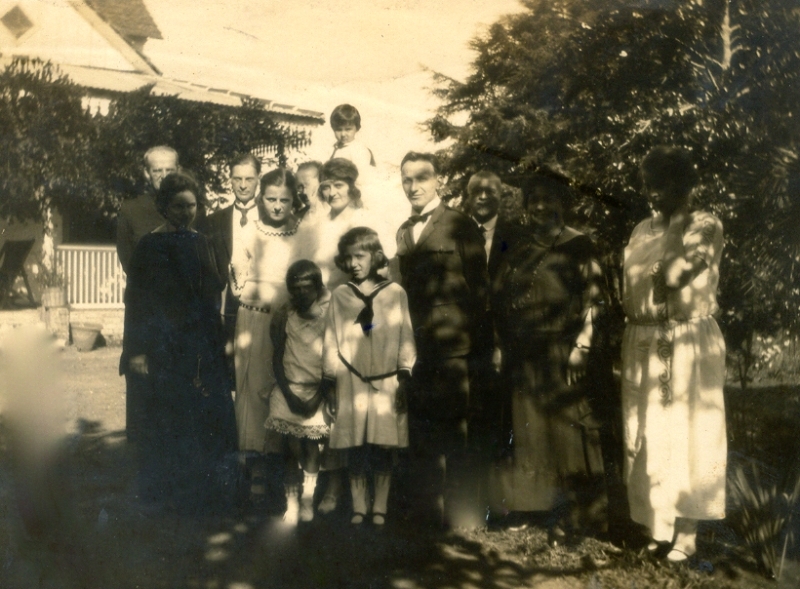 Very few of them are dated but, according to my mother, all of them were done after World War II, in Brazil and later in the US. 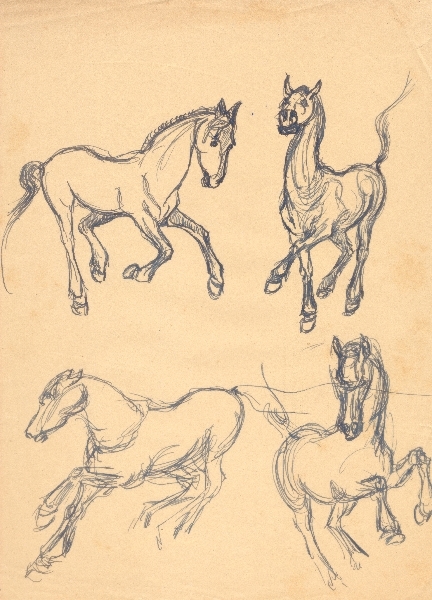 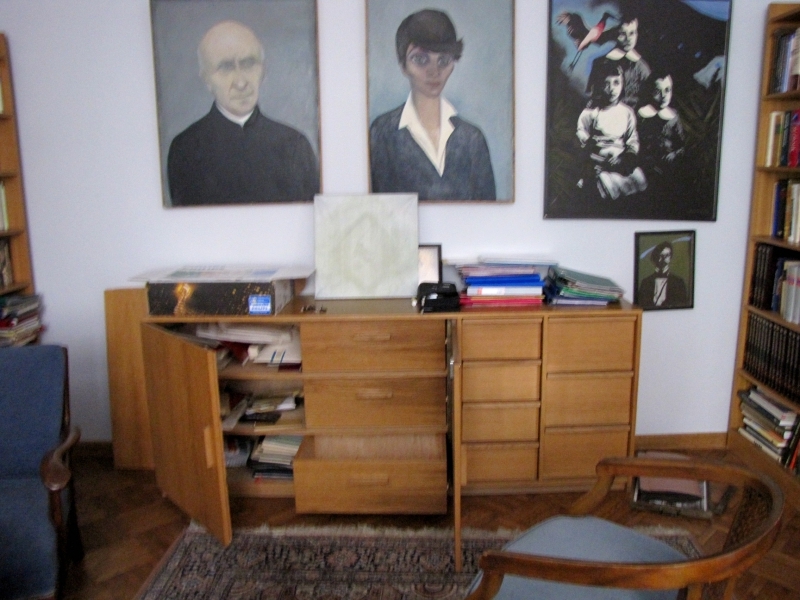 The sketches were first collected by my grandmother, Wanda and later, when Bohdan died, my mother selected some from his papers. 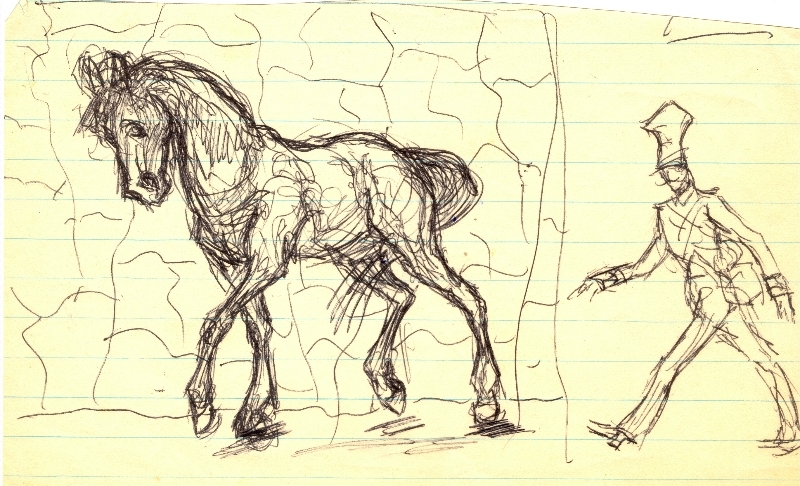 I have recovered them from the folder she kept them in, scanned them and put them on this slideshow grouping them loosely by theme: horses, horses and horsemen, and people. 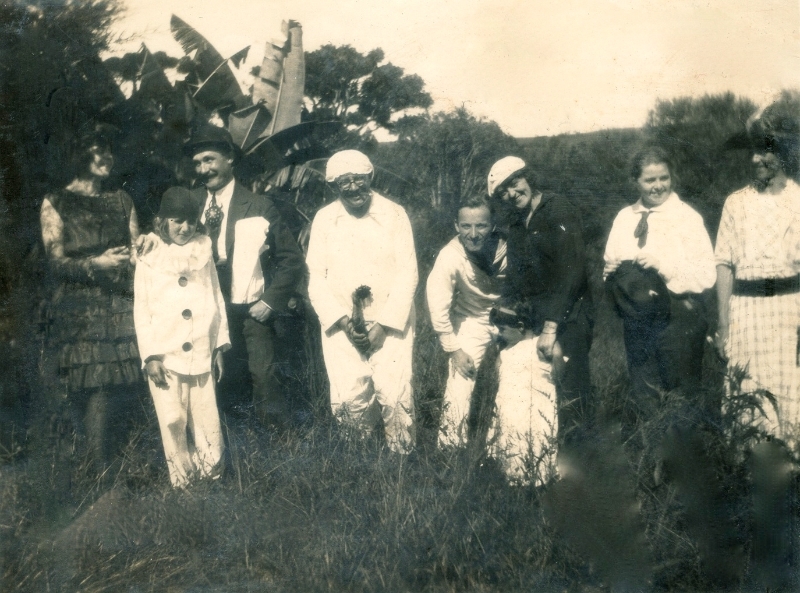 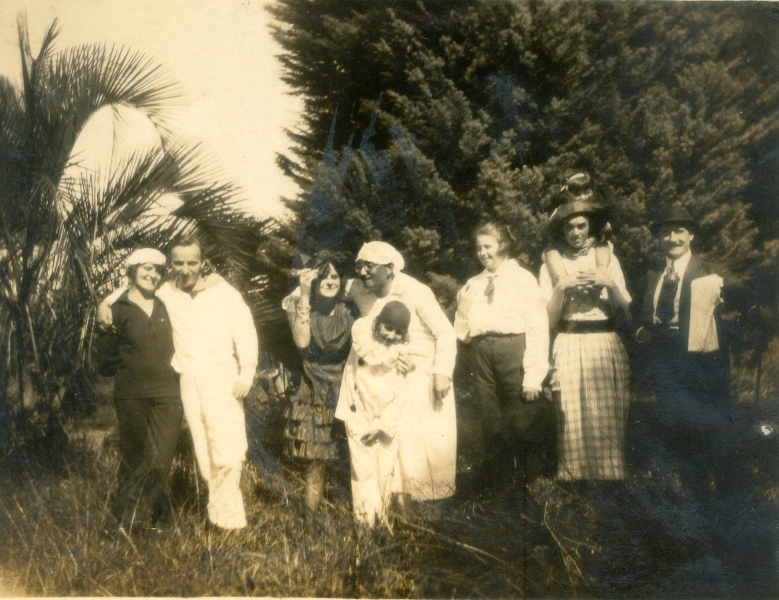 Photos of Bohdan’s visit to Curitiba in 1923-1924: his wedding to Wanda and Carnival. 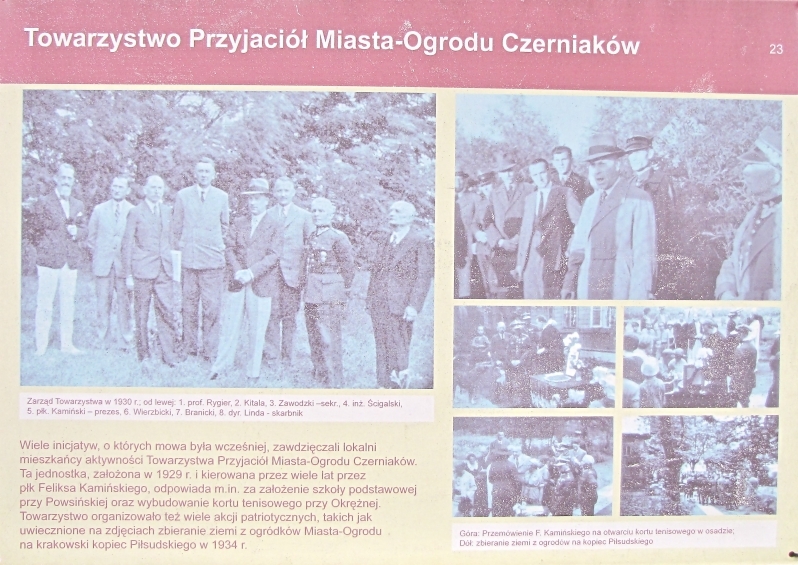 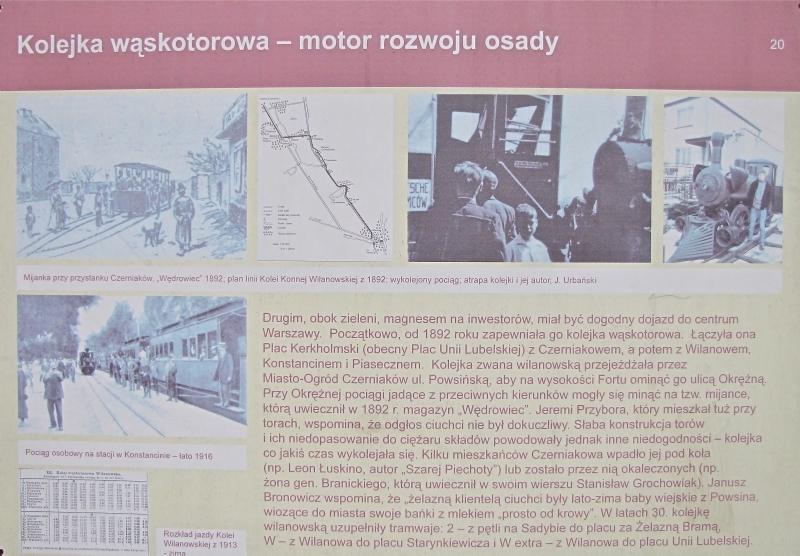 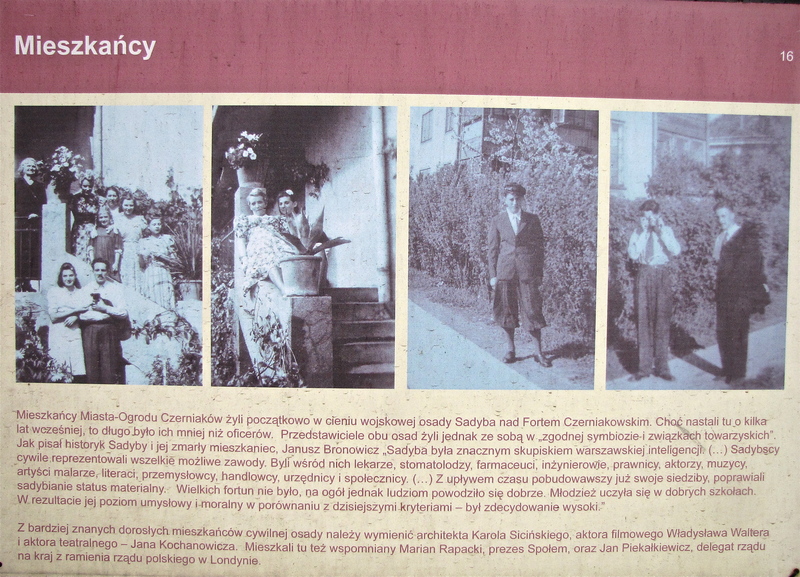 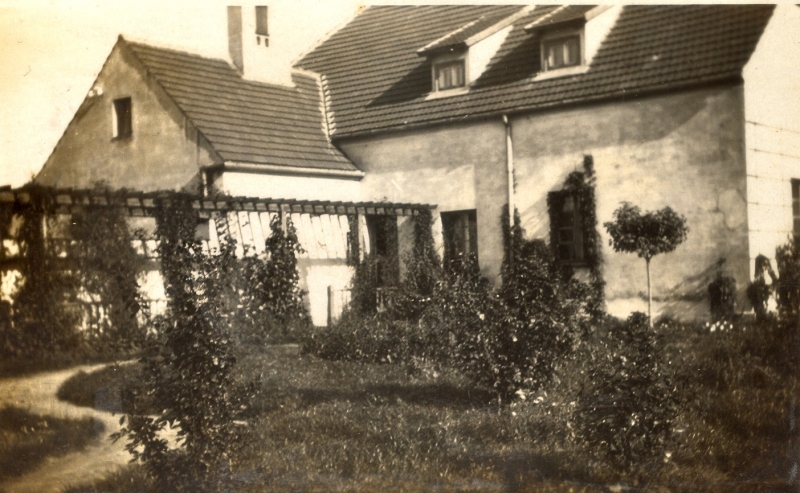 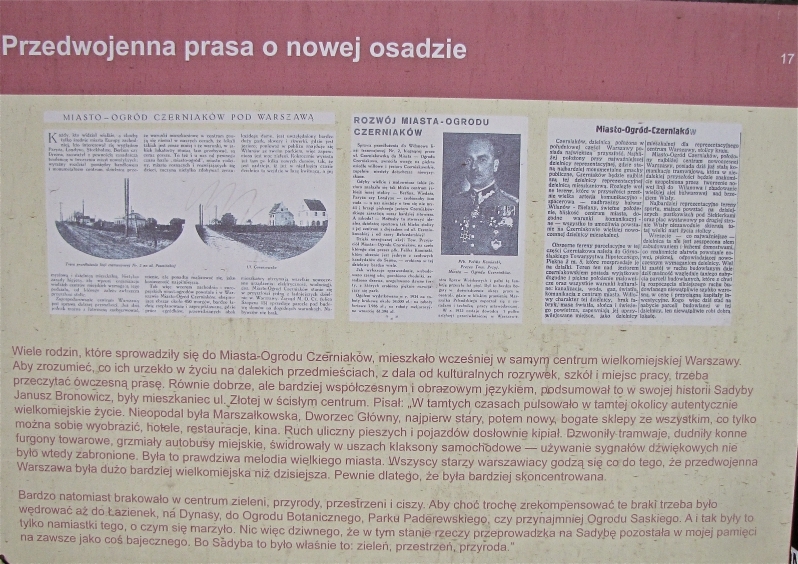 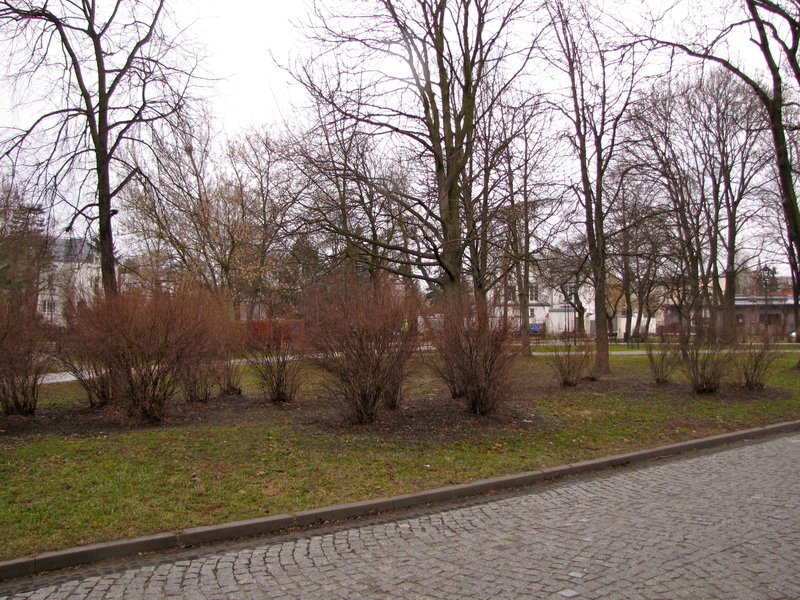 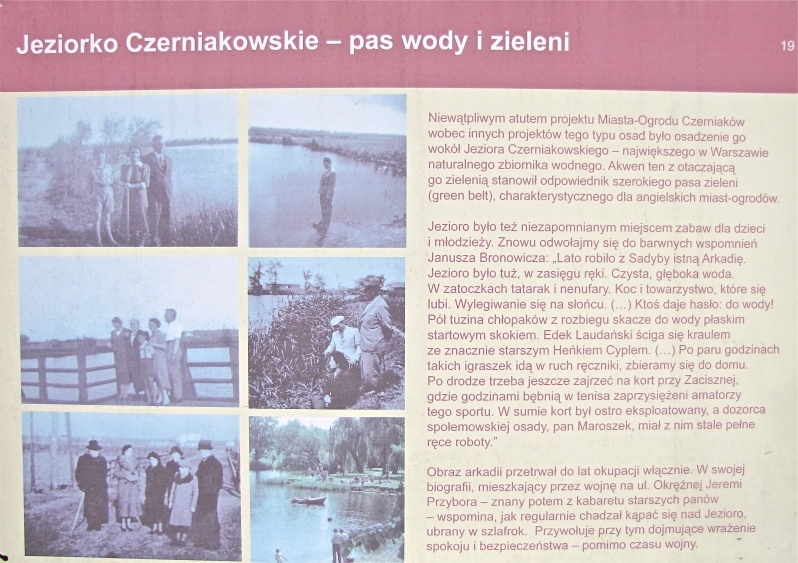 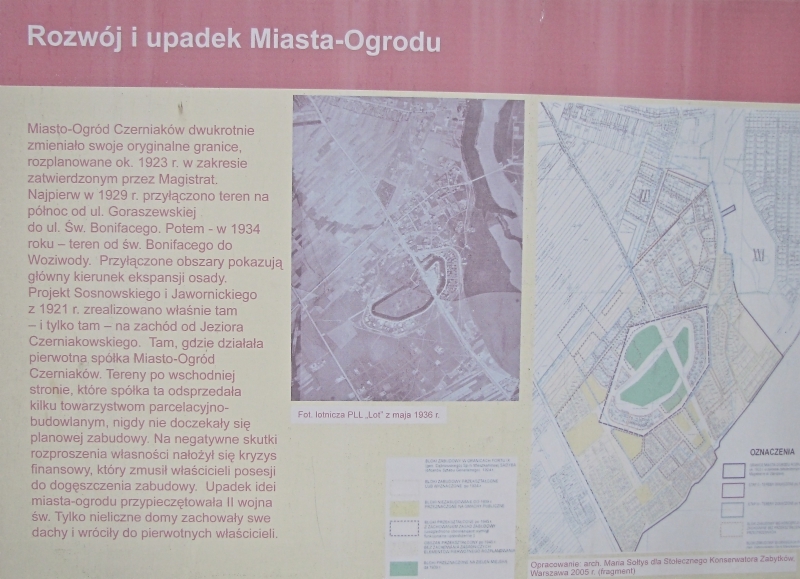 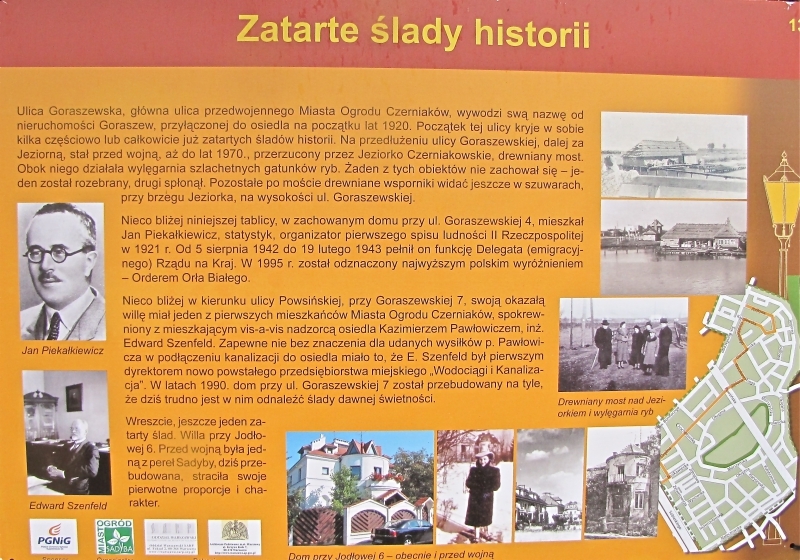 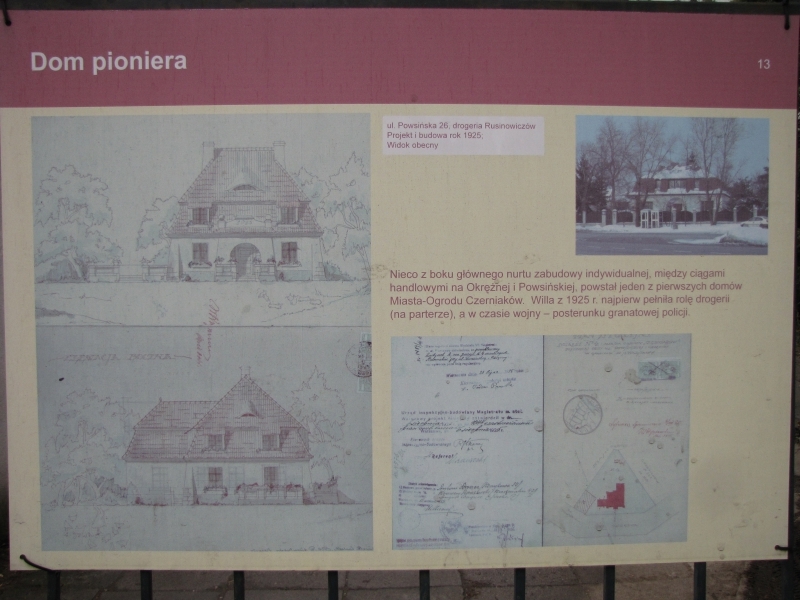 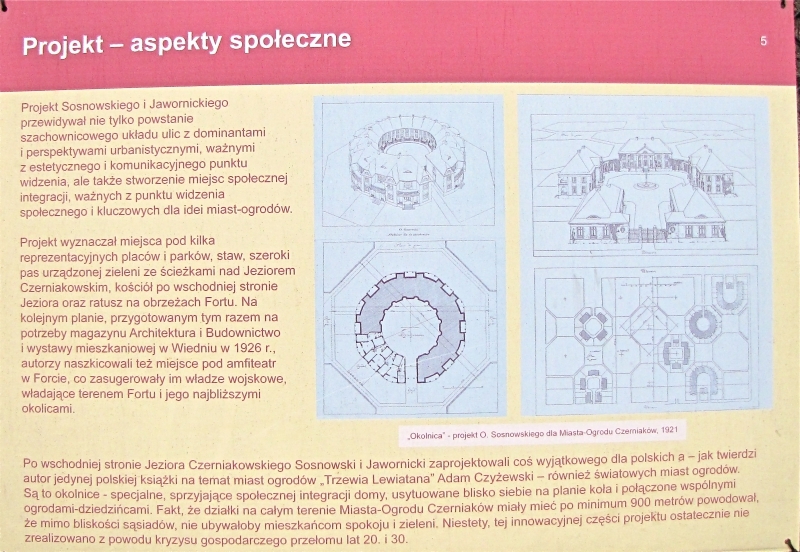 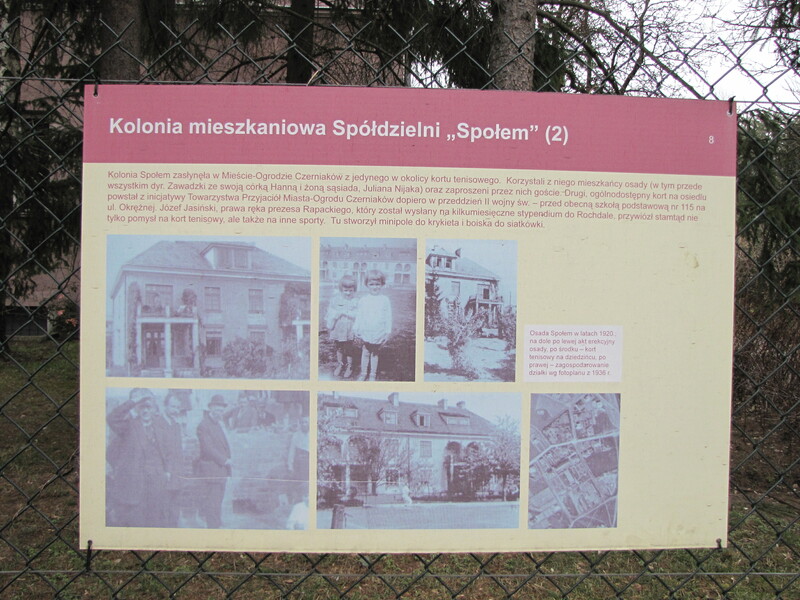 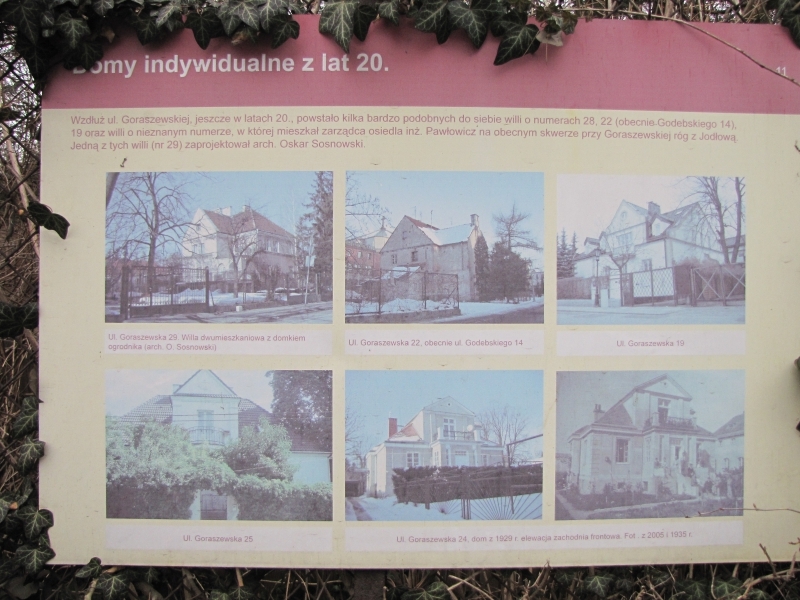 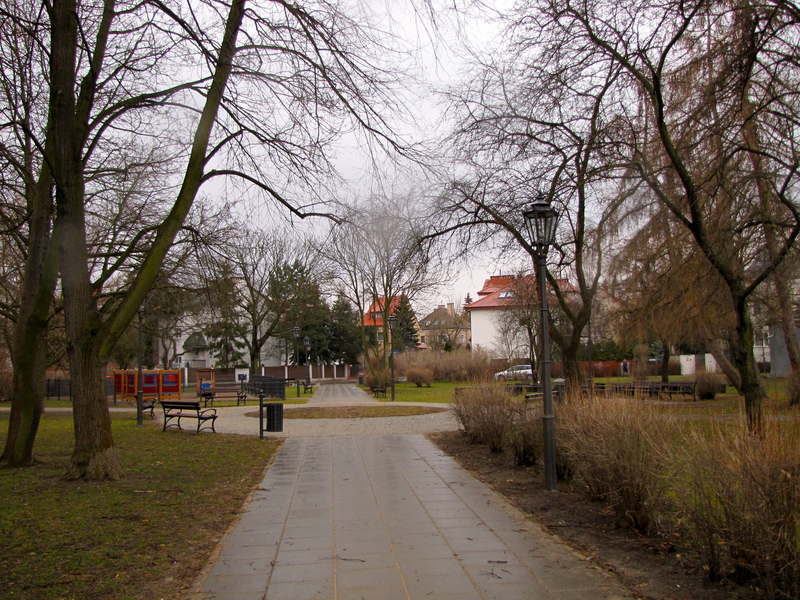 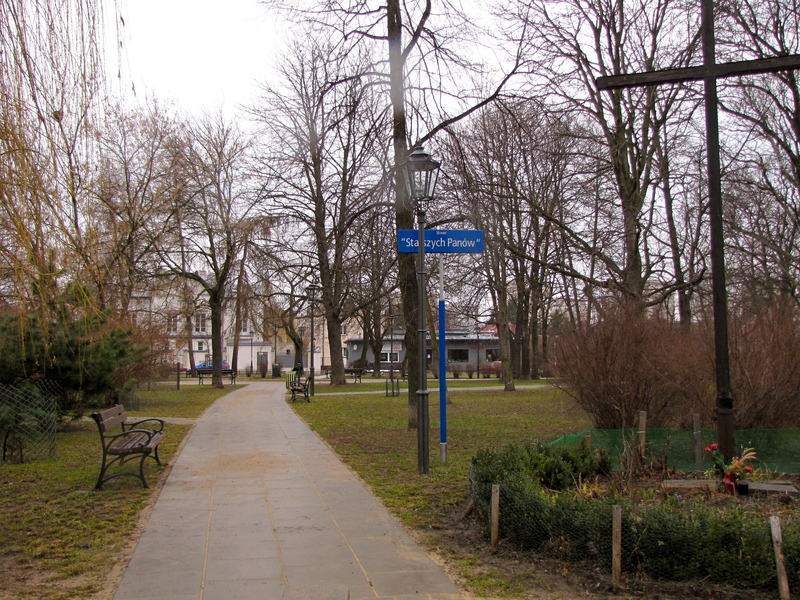 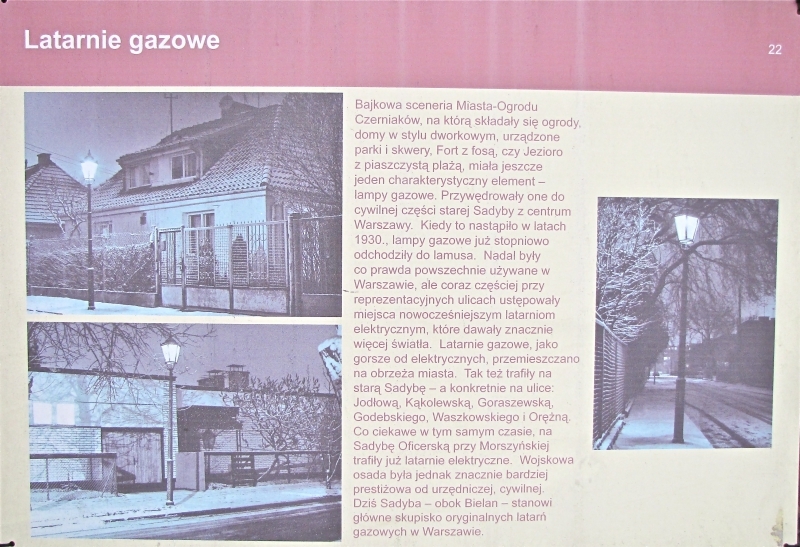 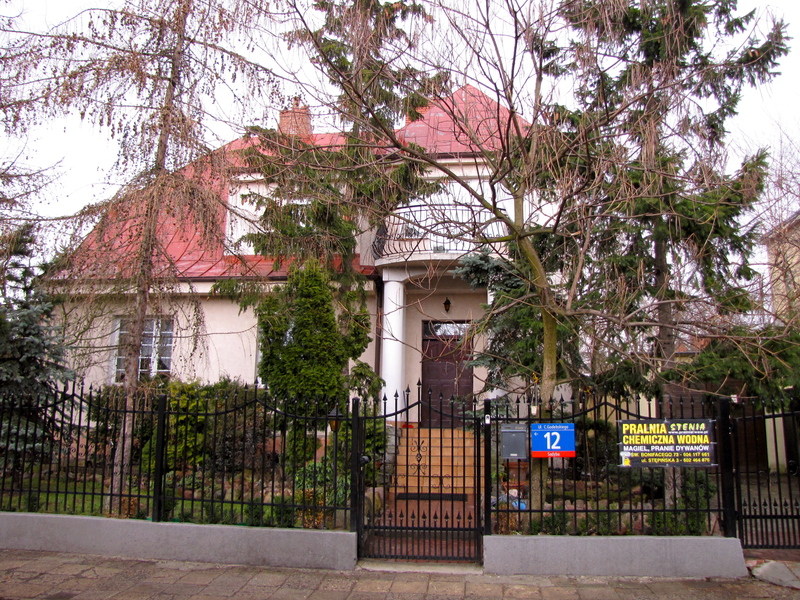 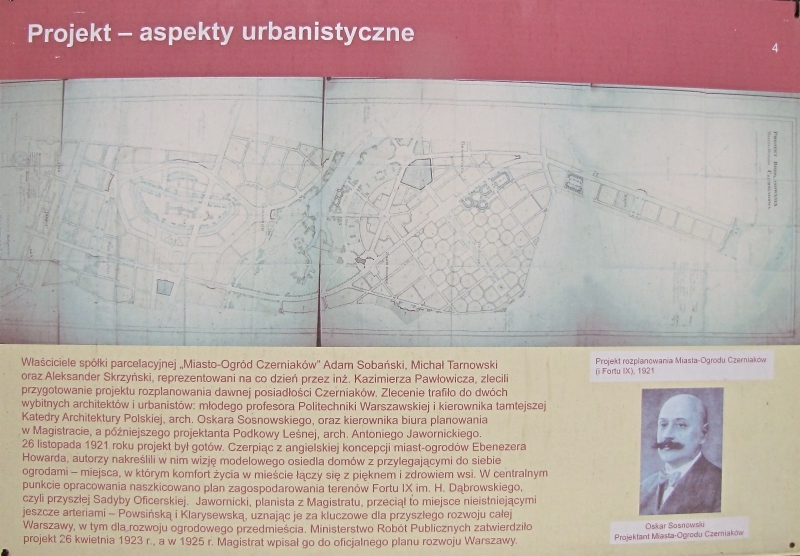 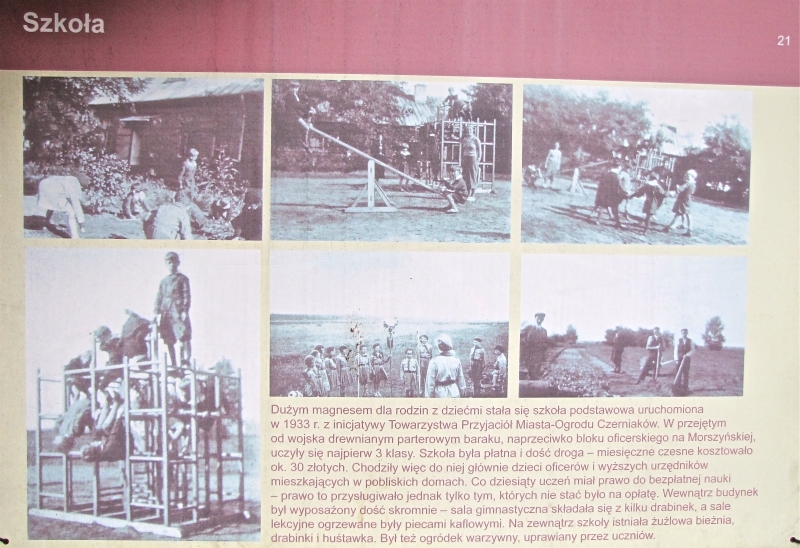 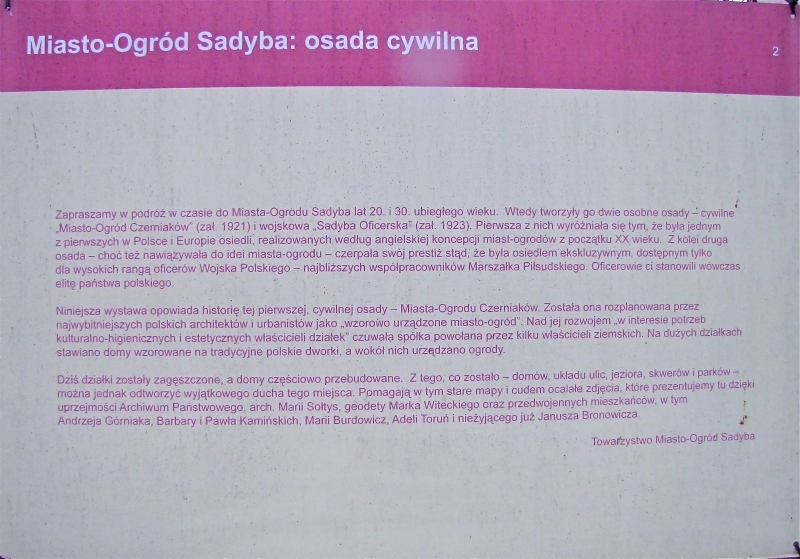 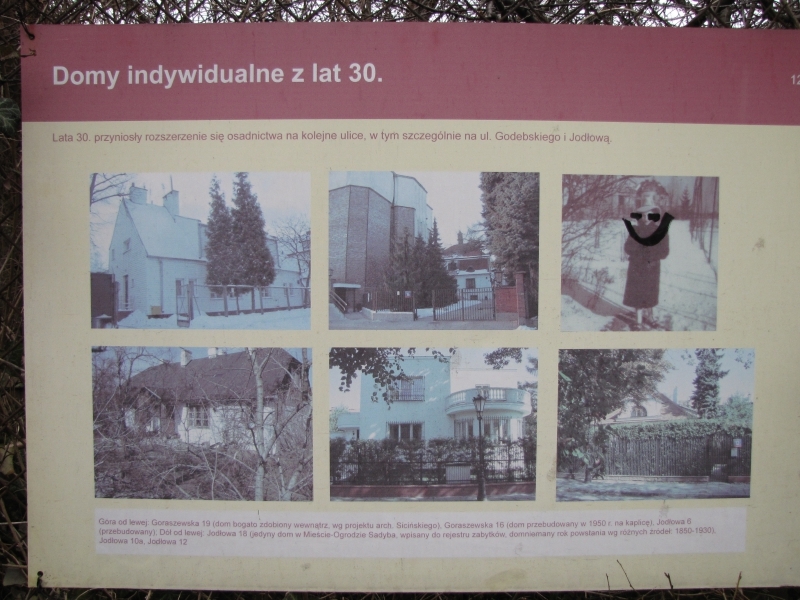 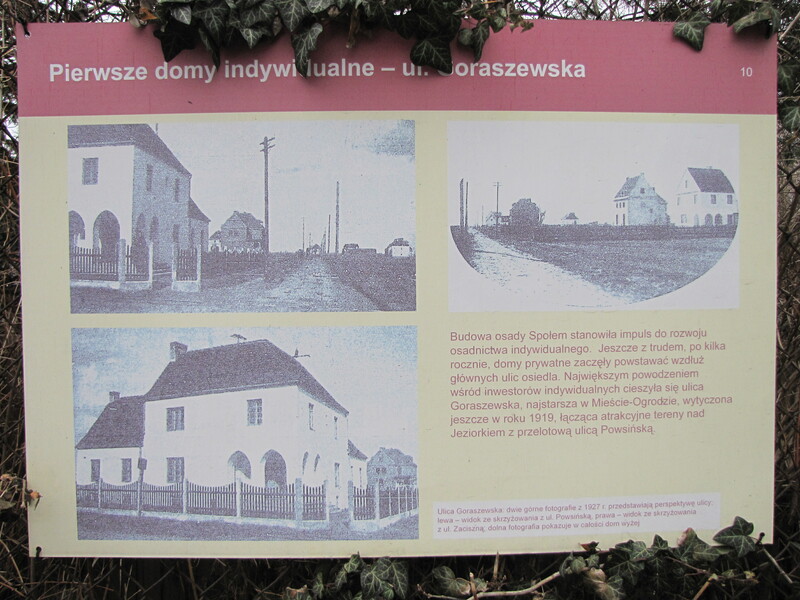 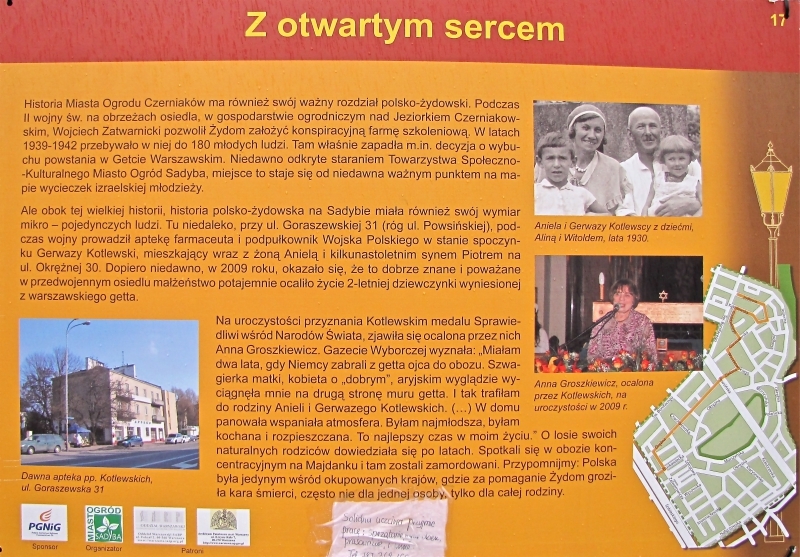 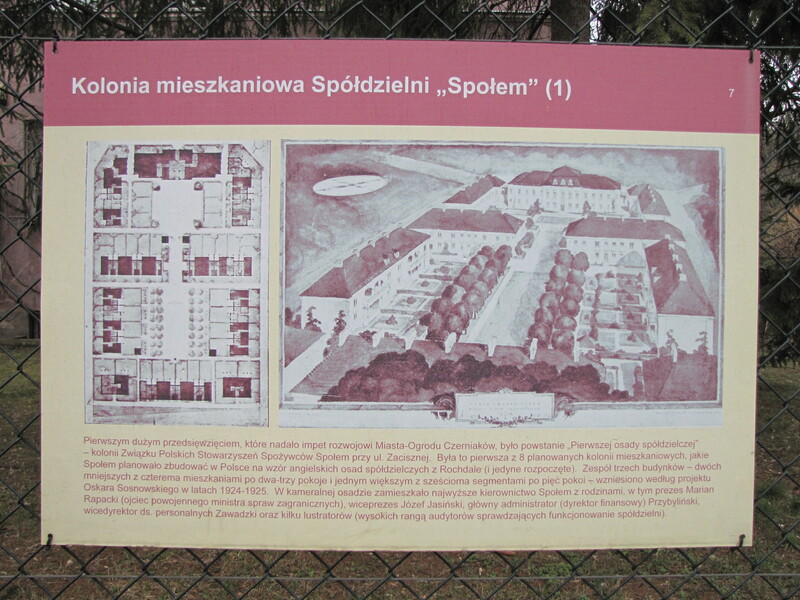 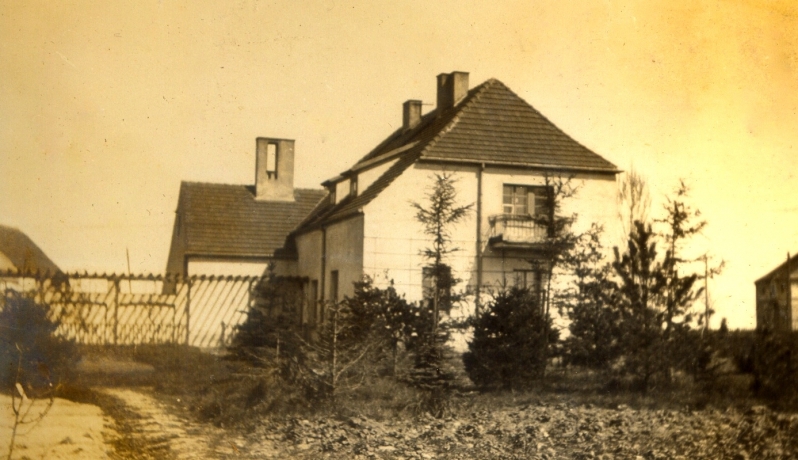 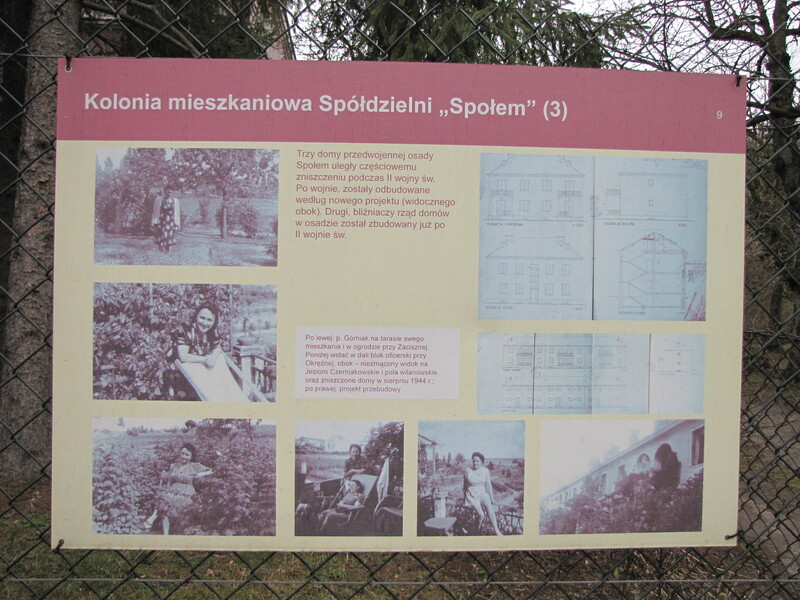 Bohdan Pawlowicz’s father, Kazimierz, was involved in the planning and building of Garden City Czerniaków. 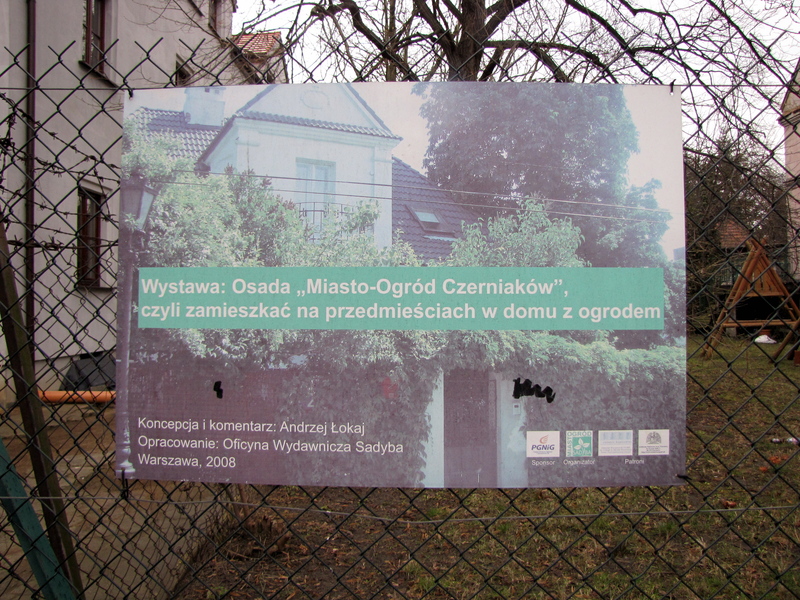 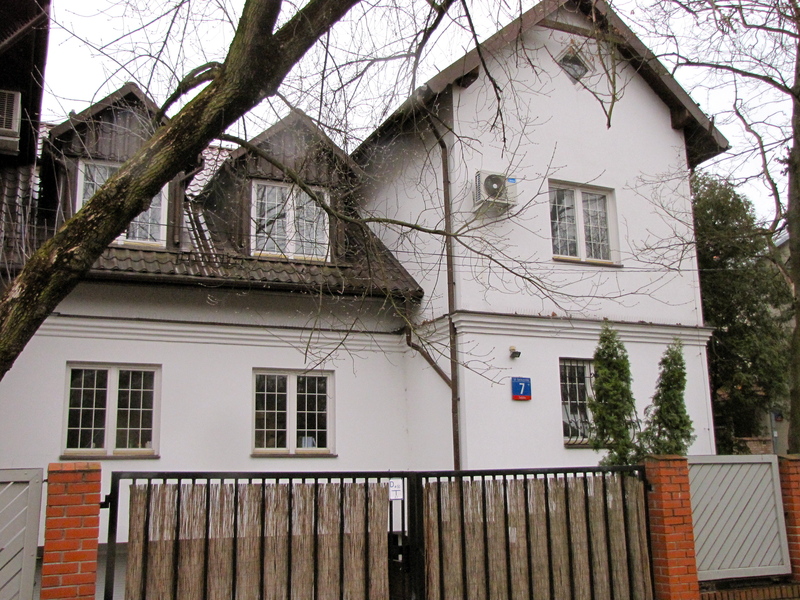 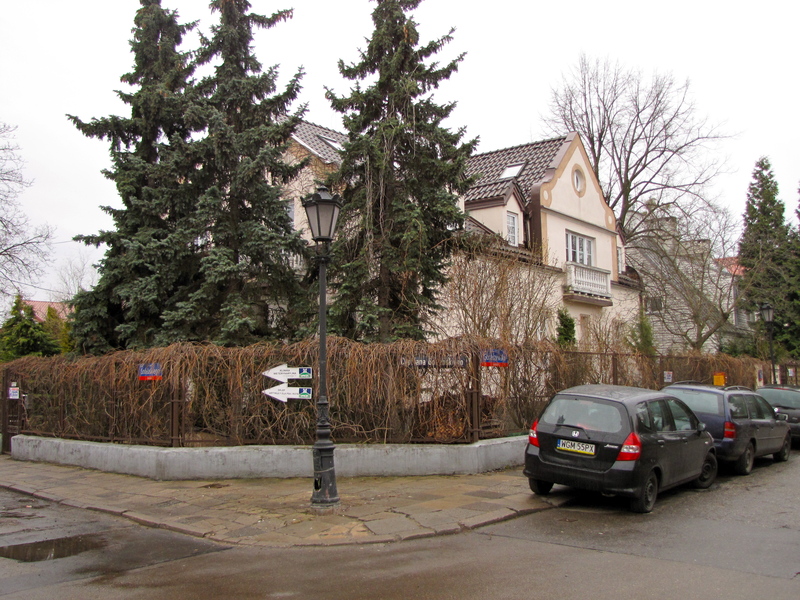 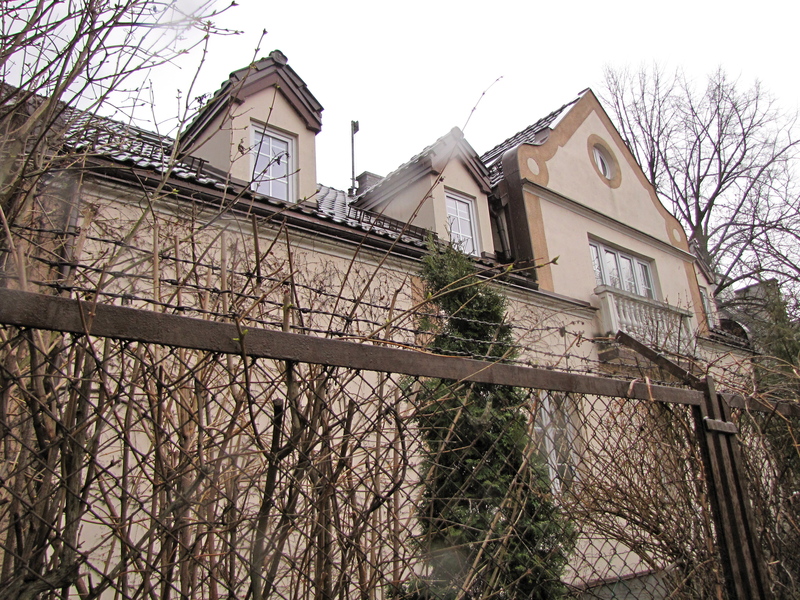 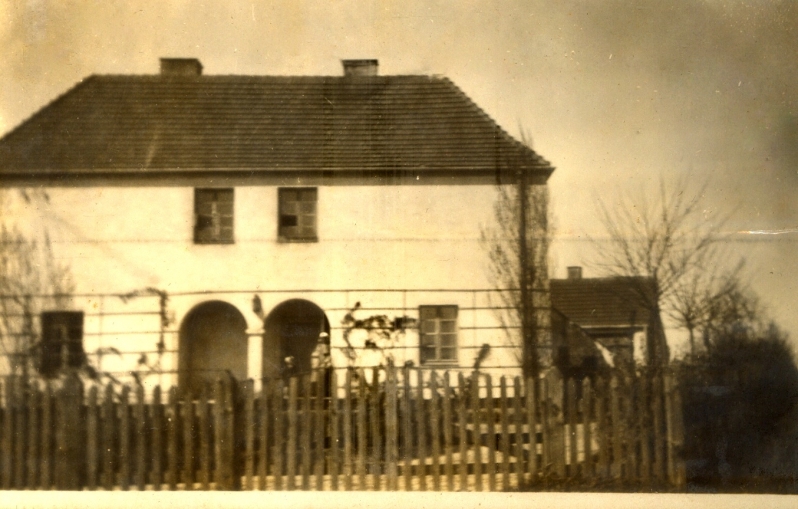 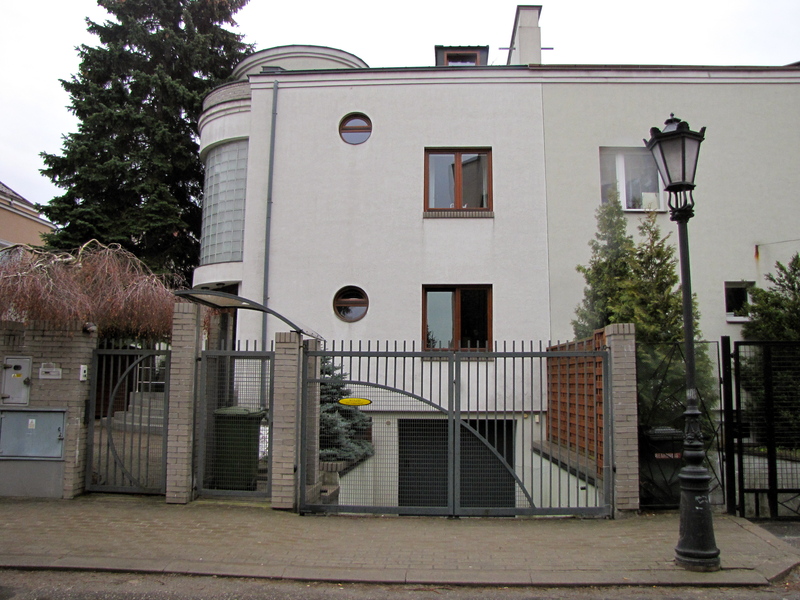 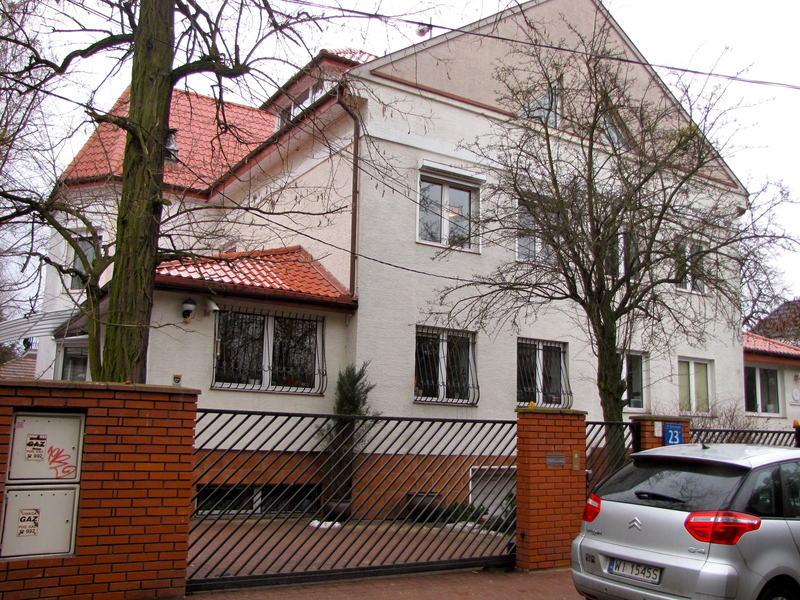 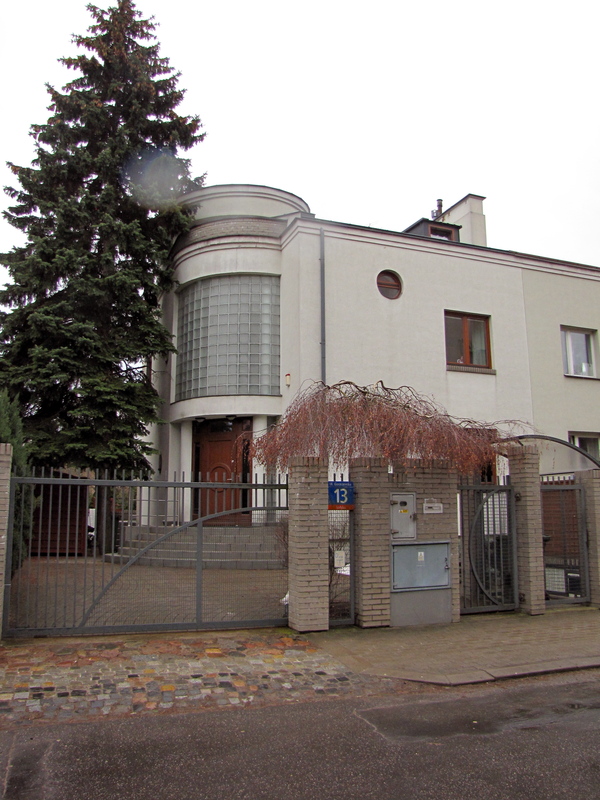 There he built his own house on Goraszewska, 8, where Bohdan moved with his wife. 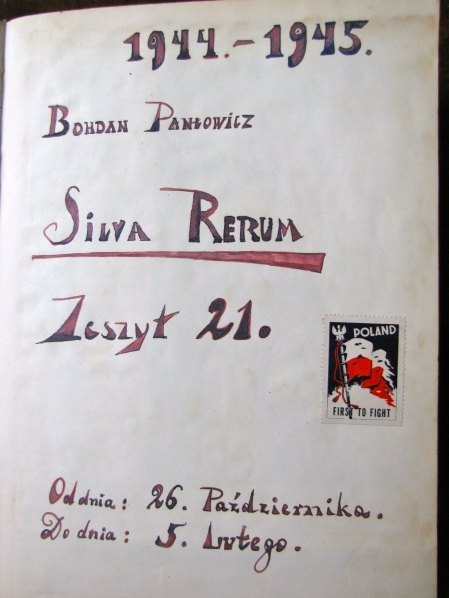 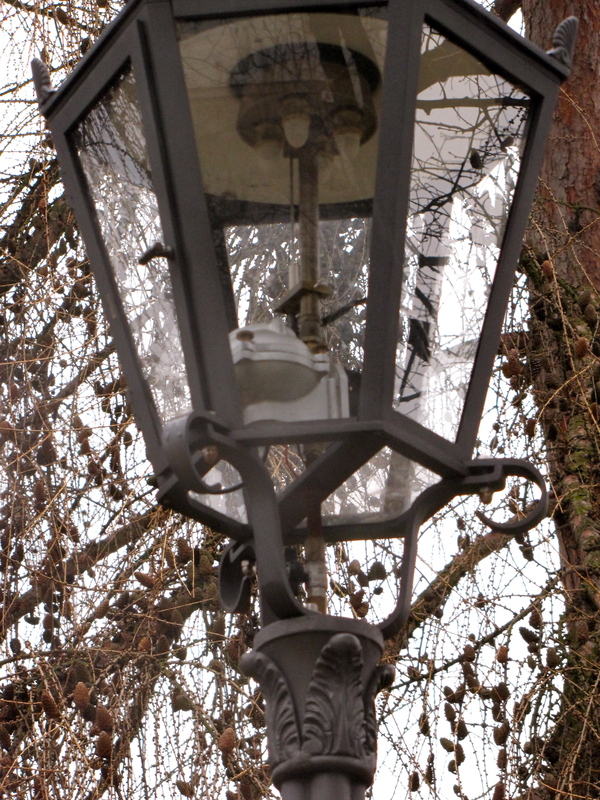 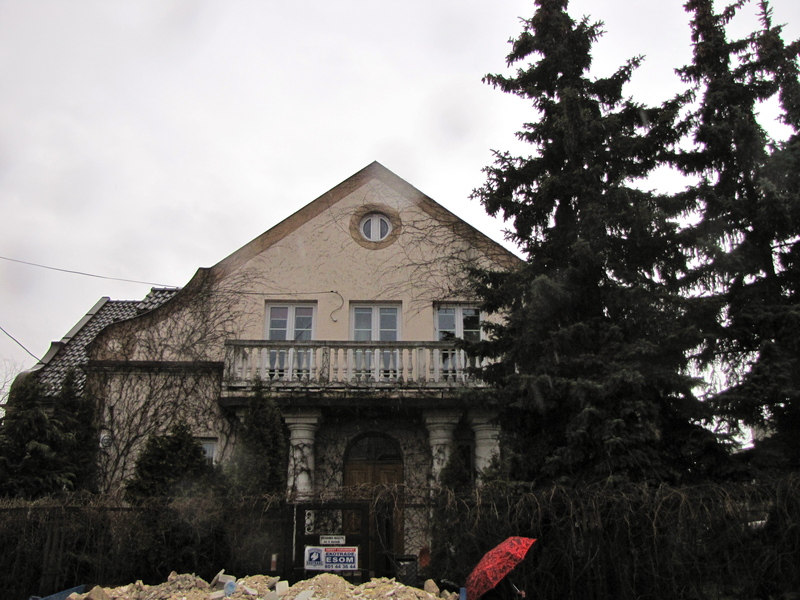 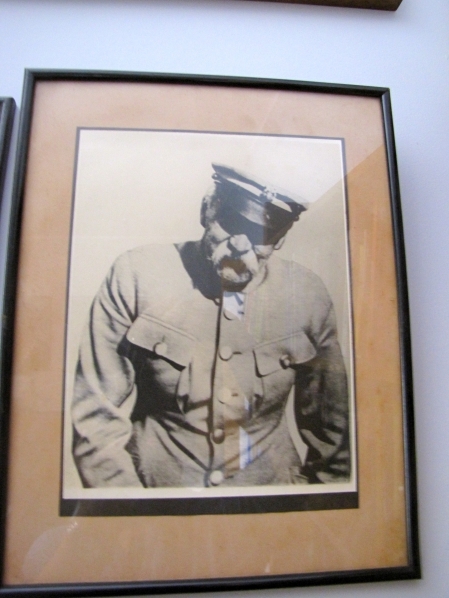 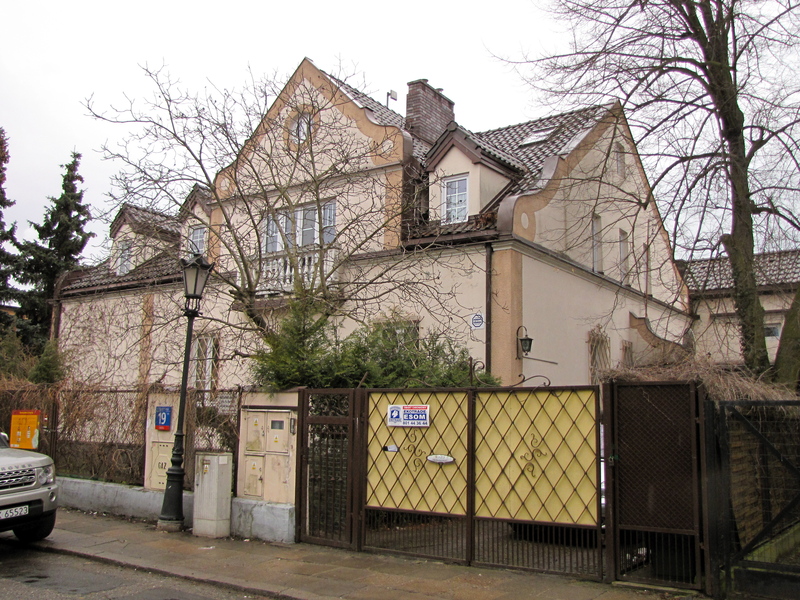 Kazimierz died in 1927 and Bohdan’s mother, Helena, continued living in the house almost the end of the war, when the house was burnt by the Germans. 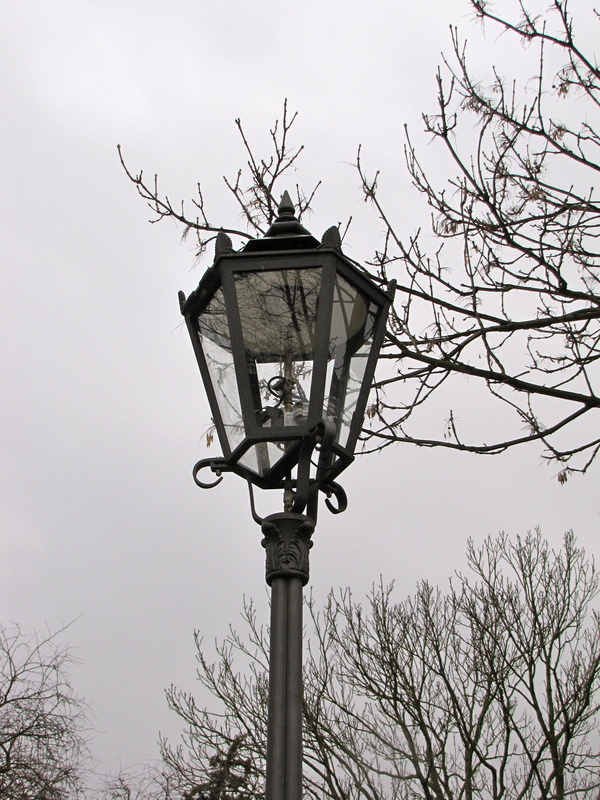 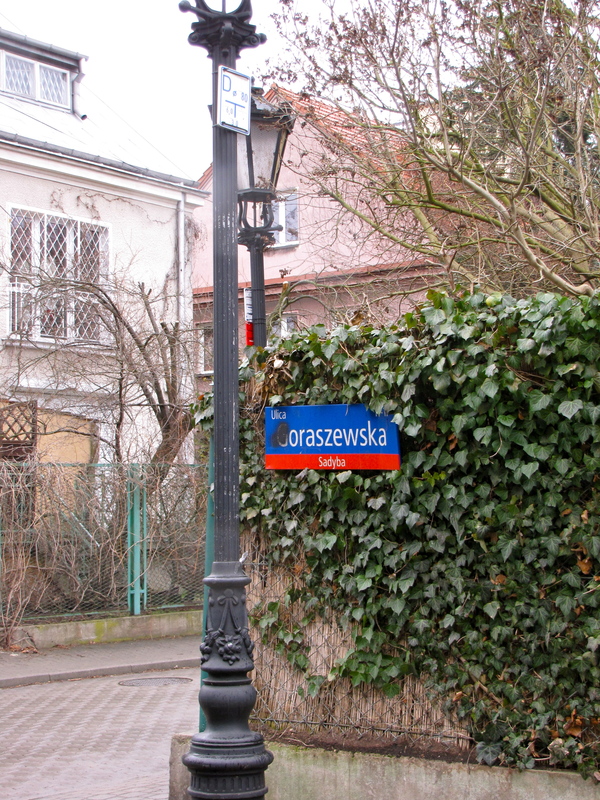 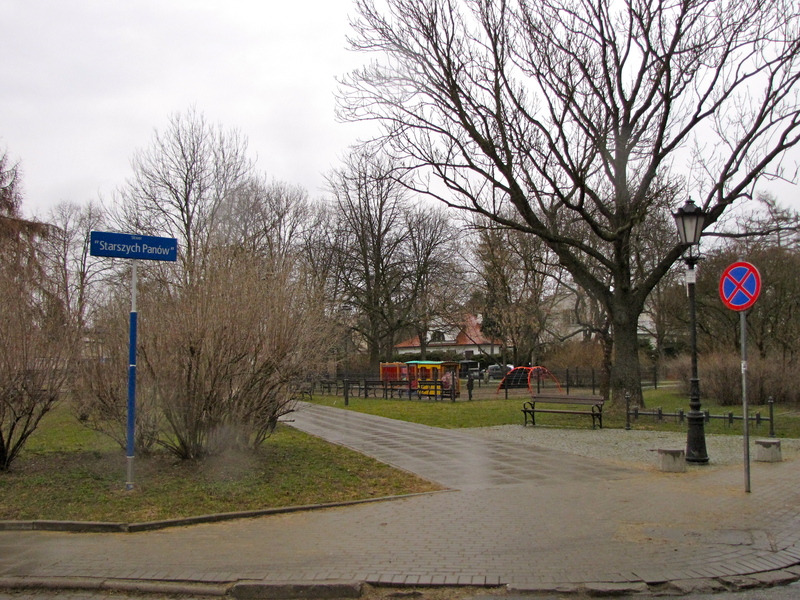 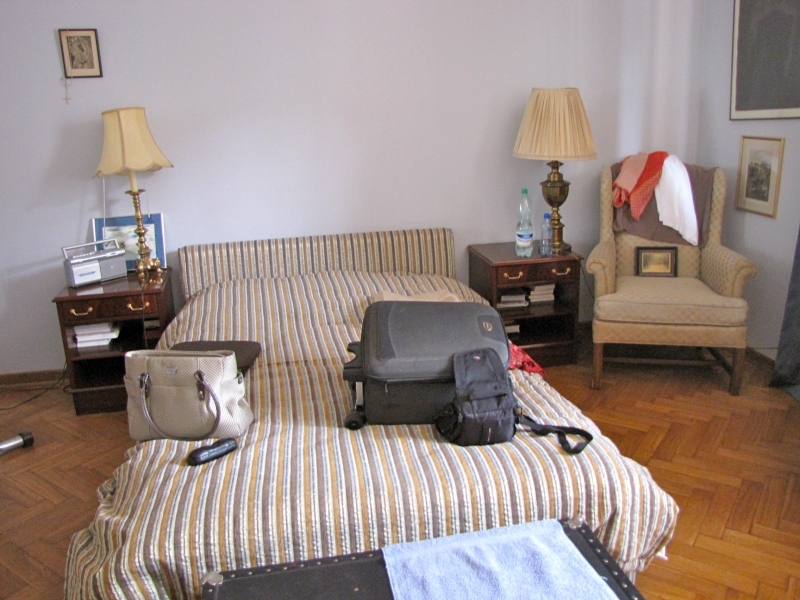 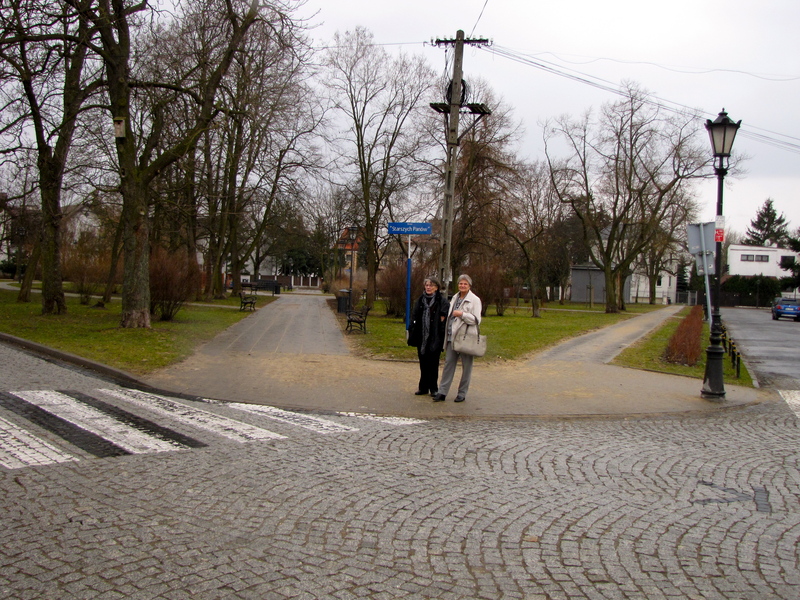 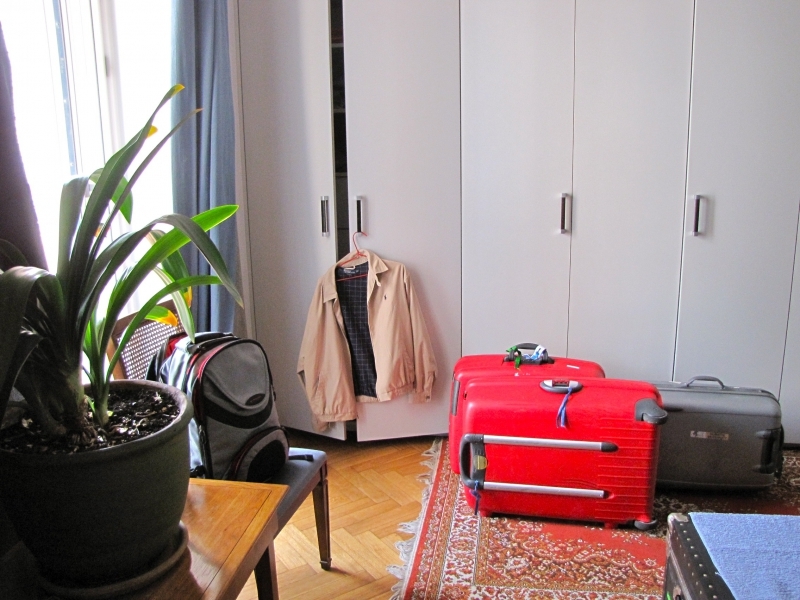 Presently, Goraszewska 8 is a square.